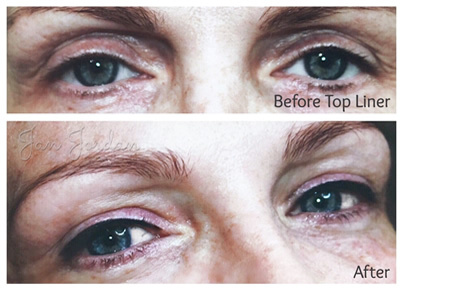 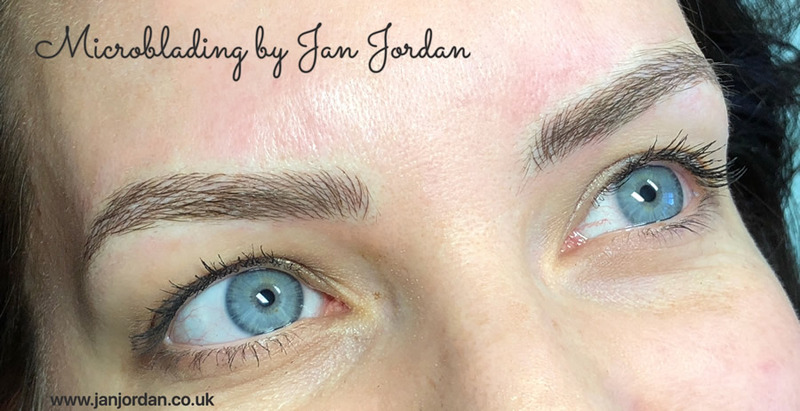 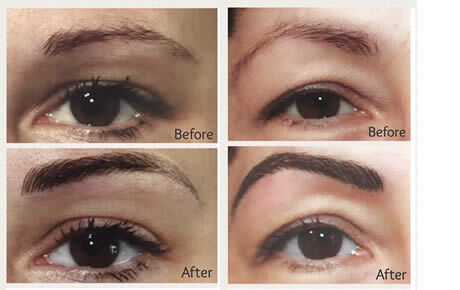 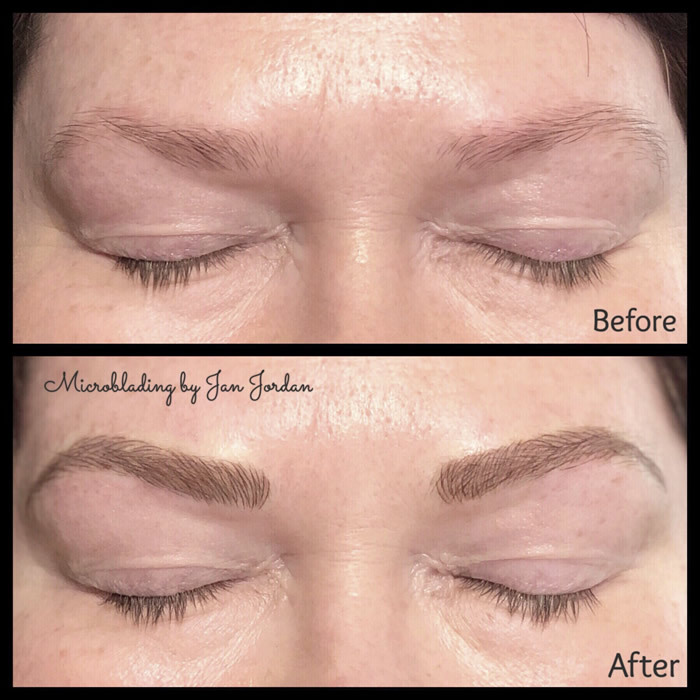 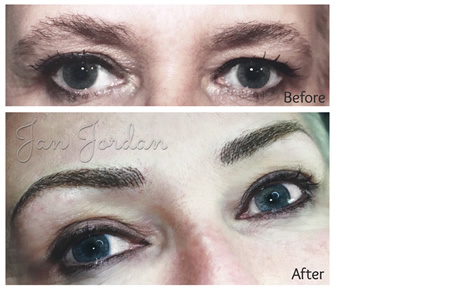 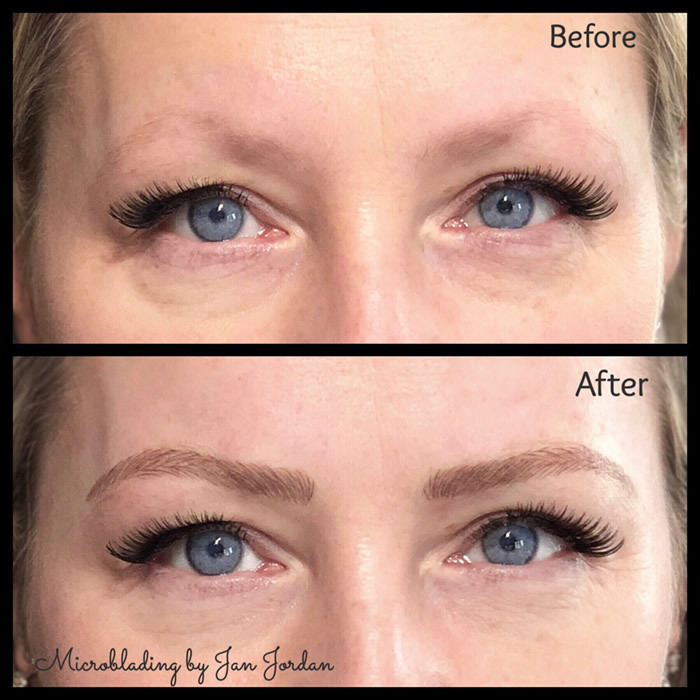 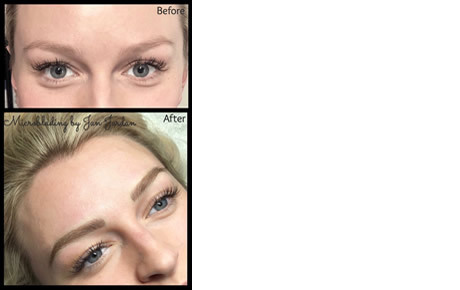 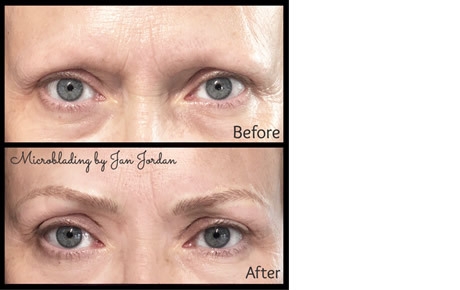 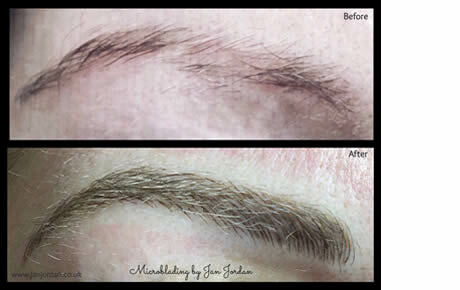 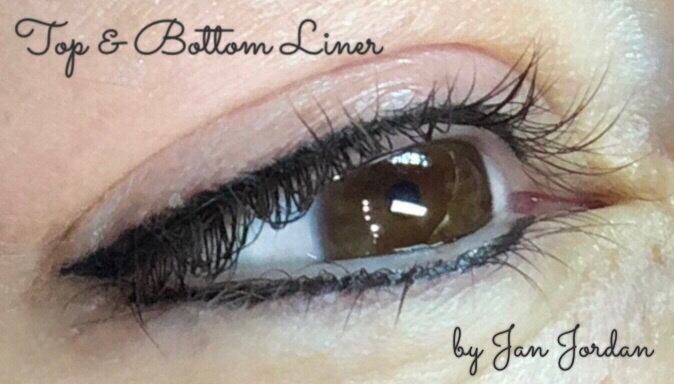 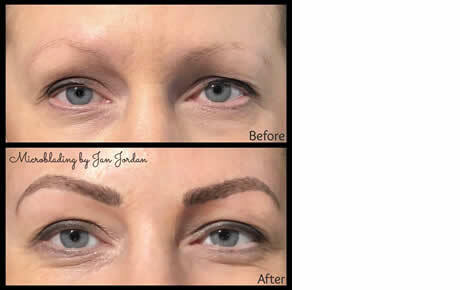 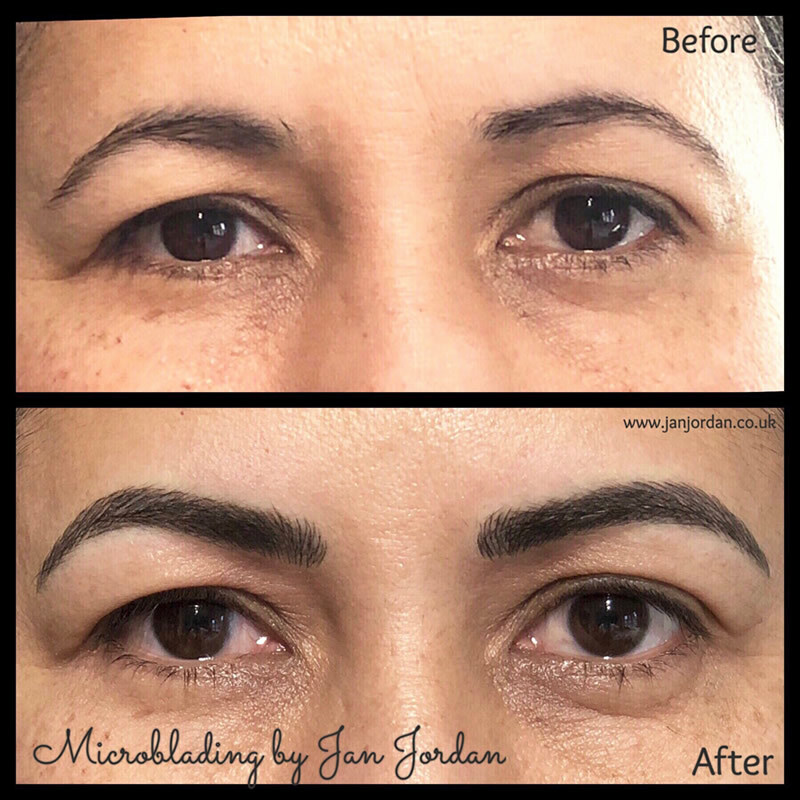 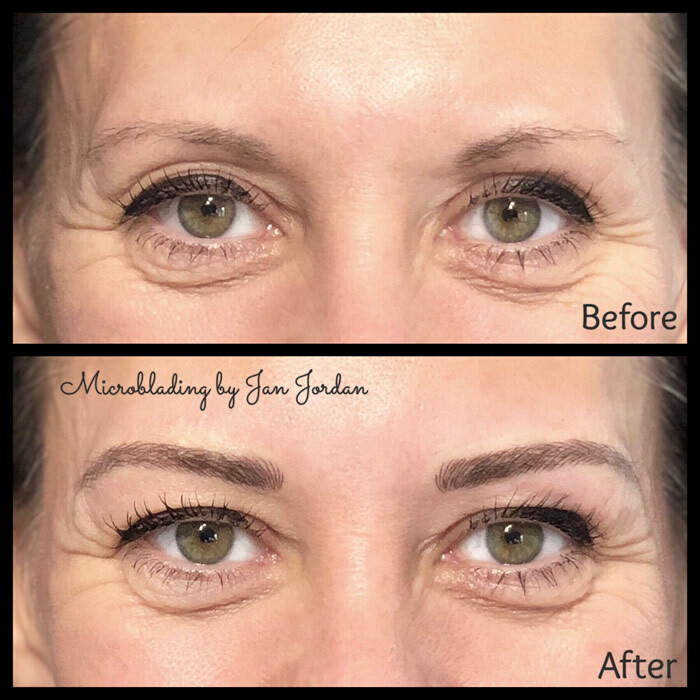 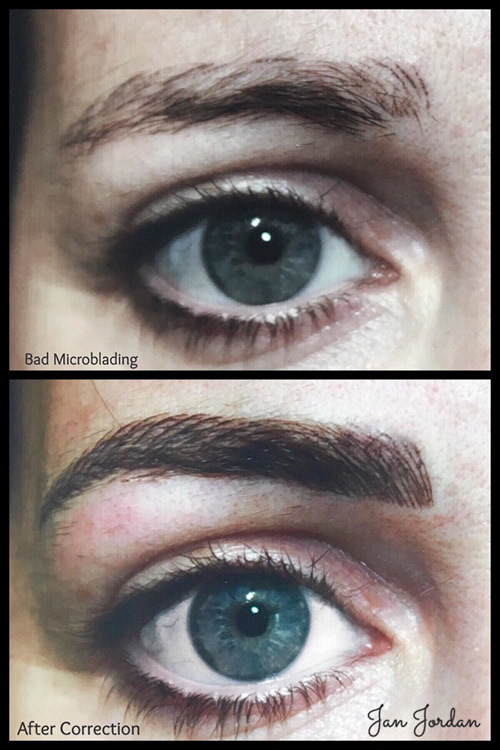 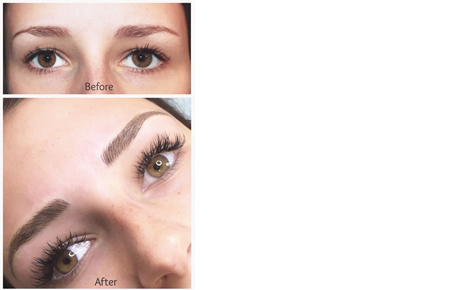 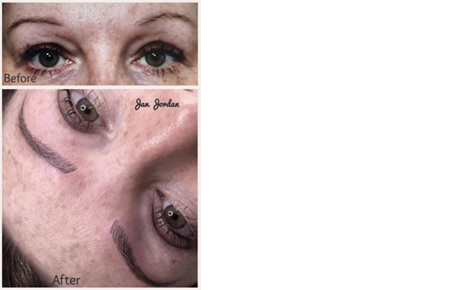 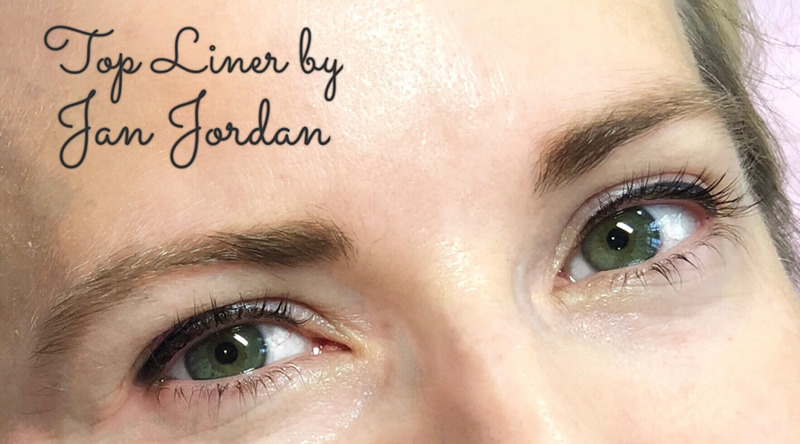 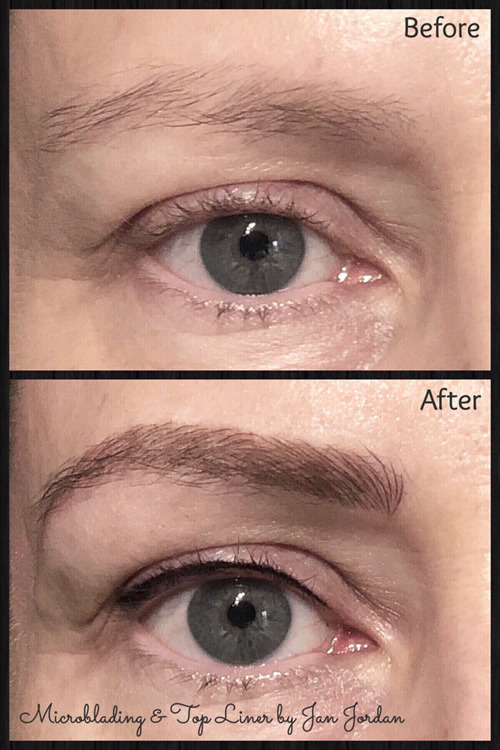 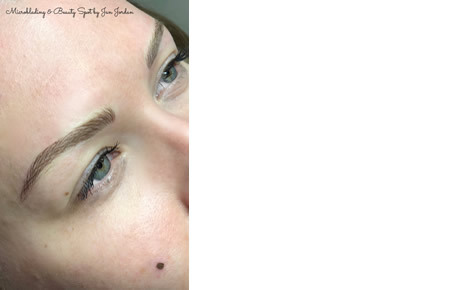 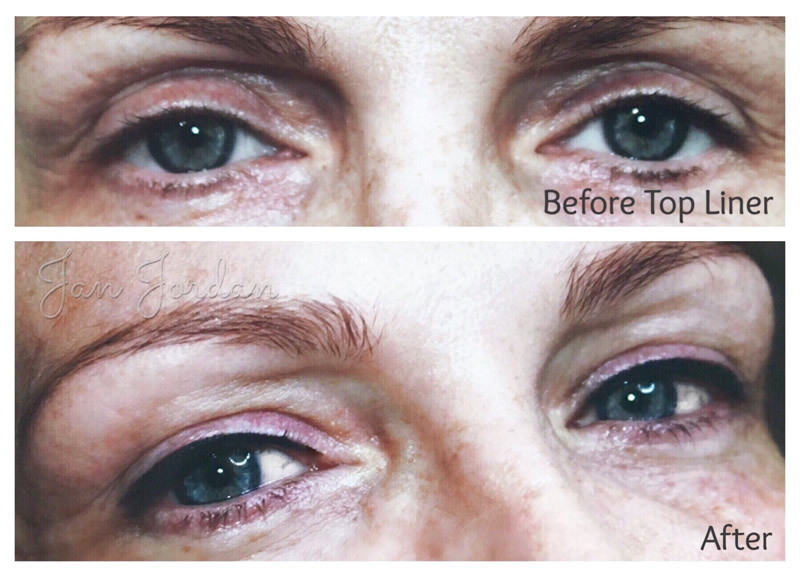 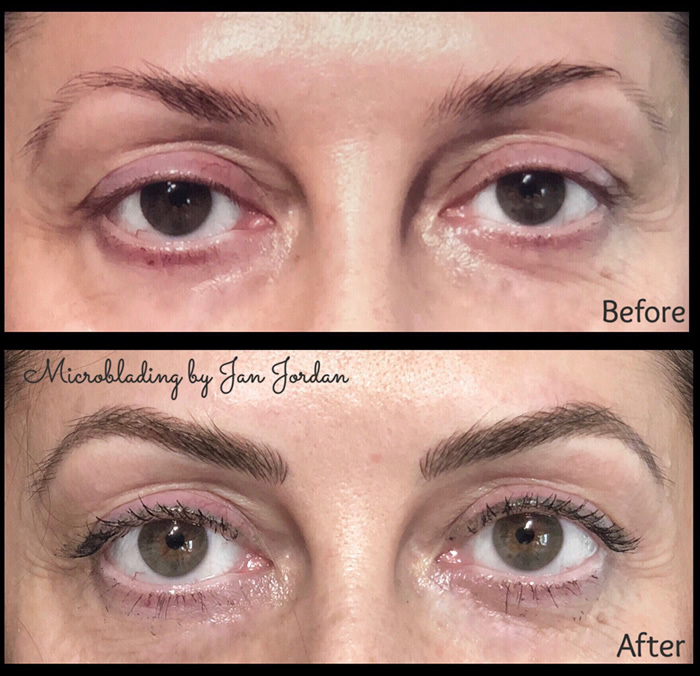 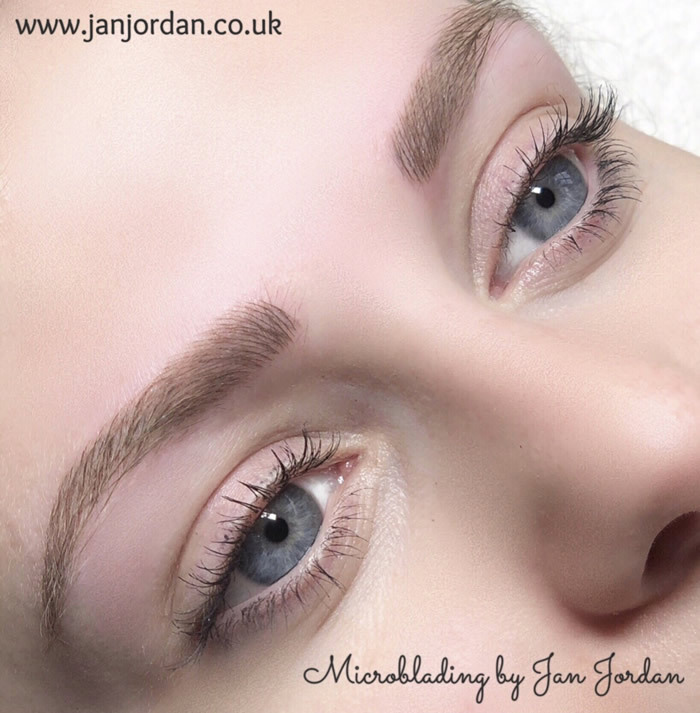 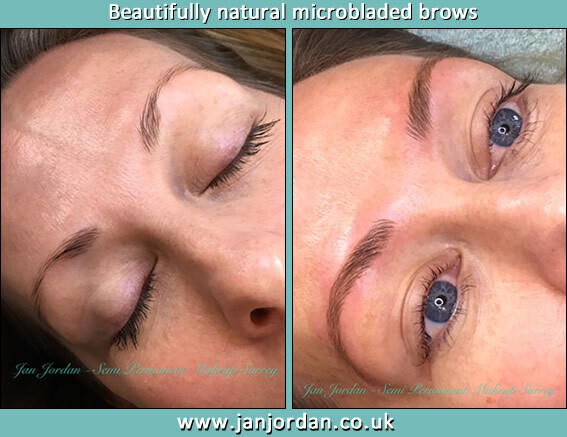 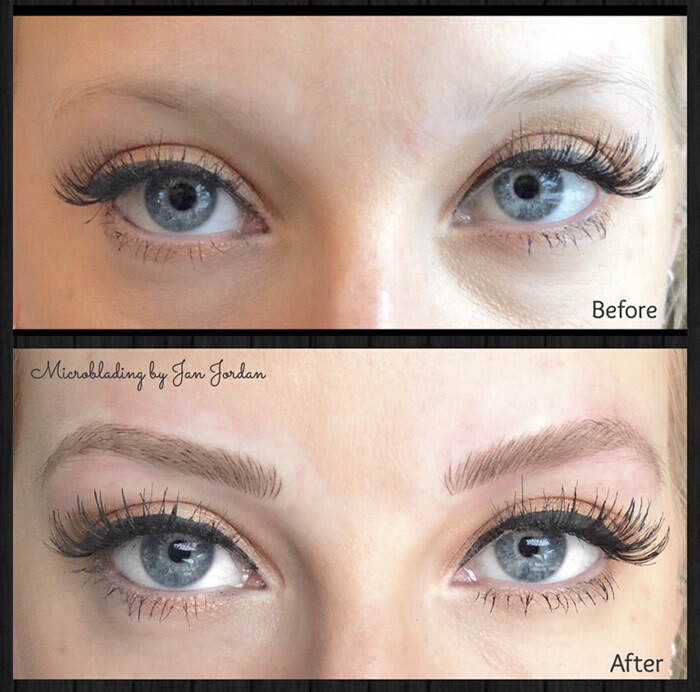 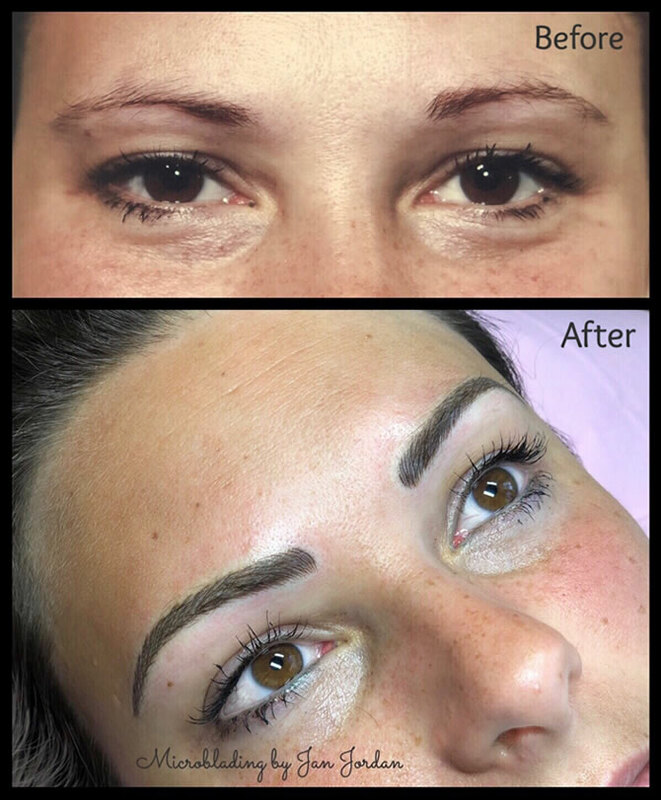 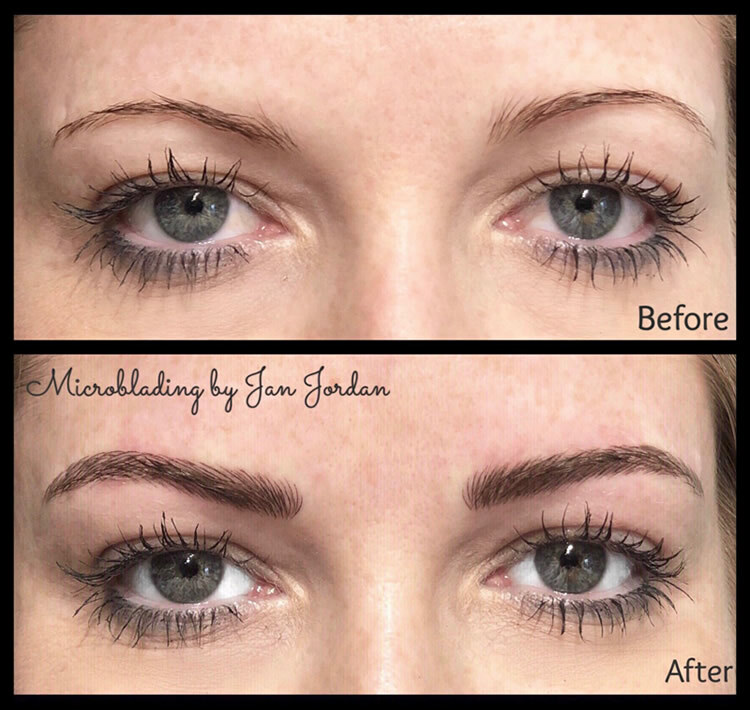 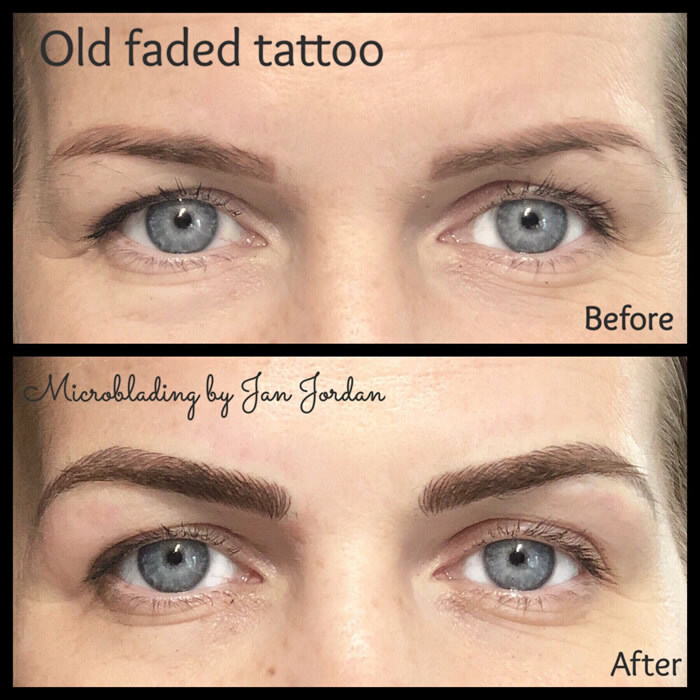 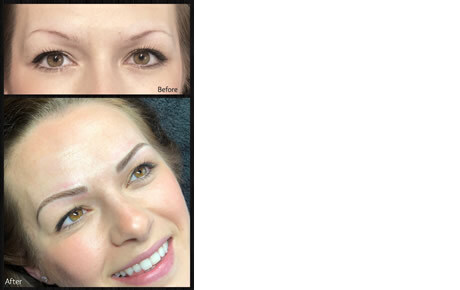 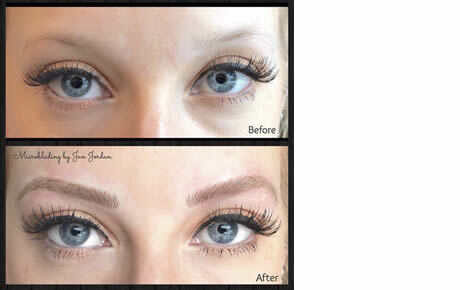 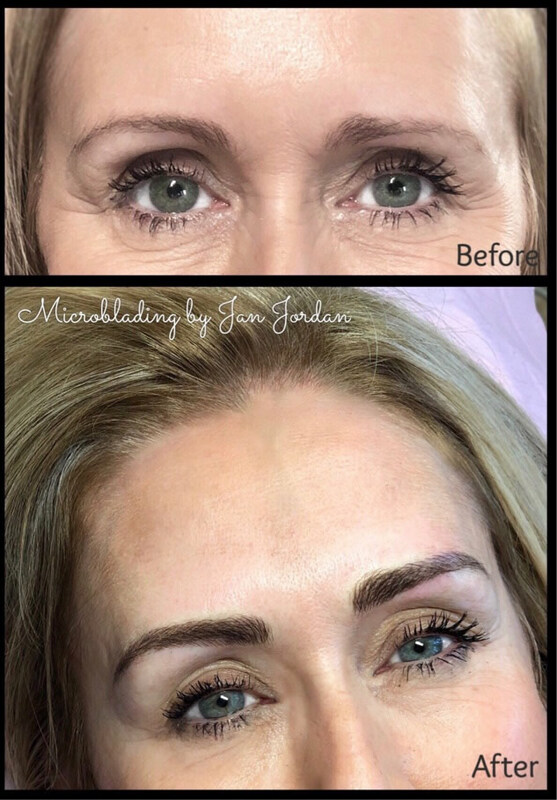 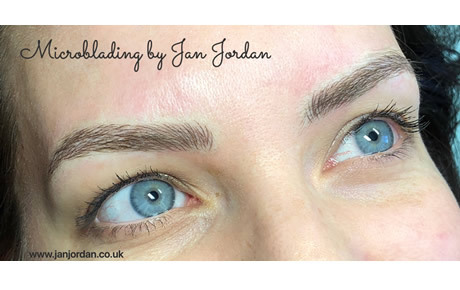 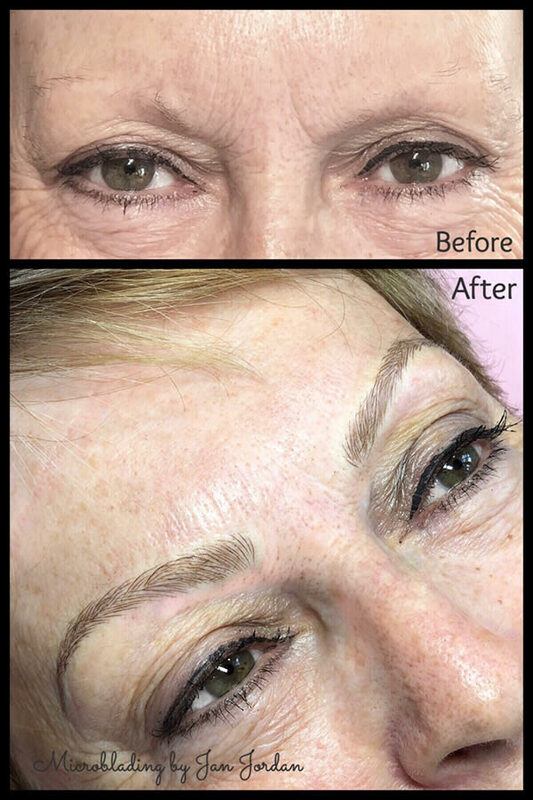 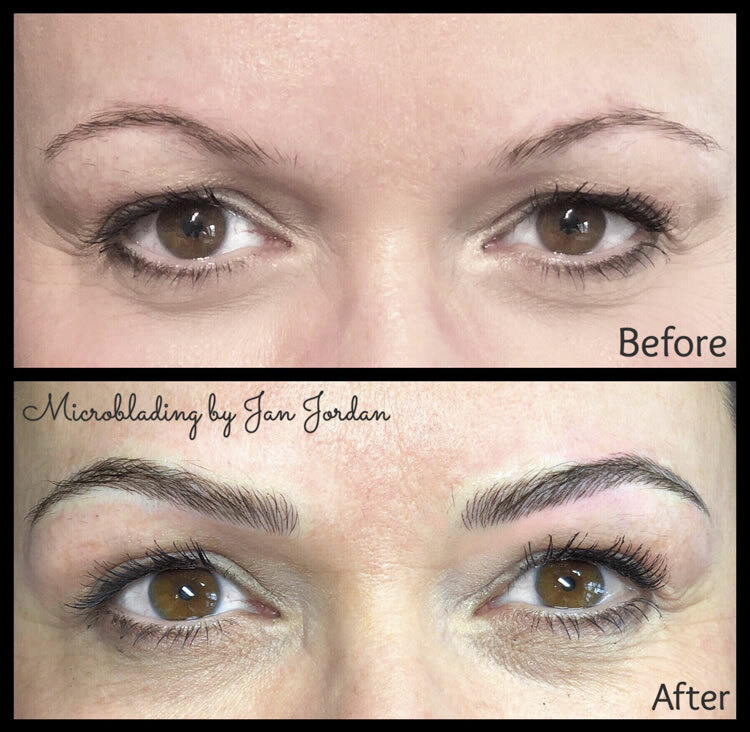 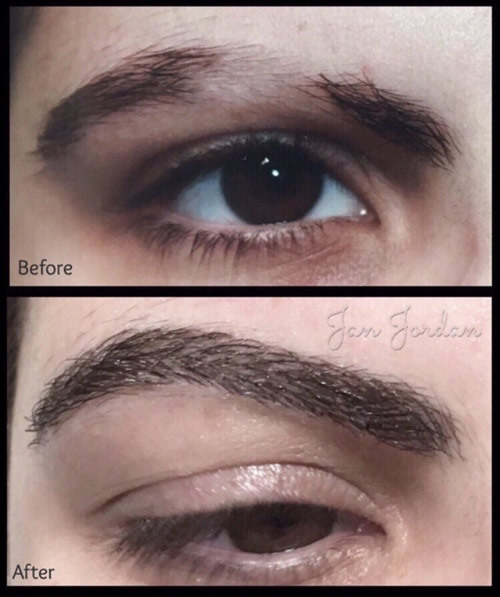 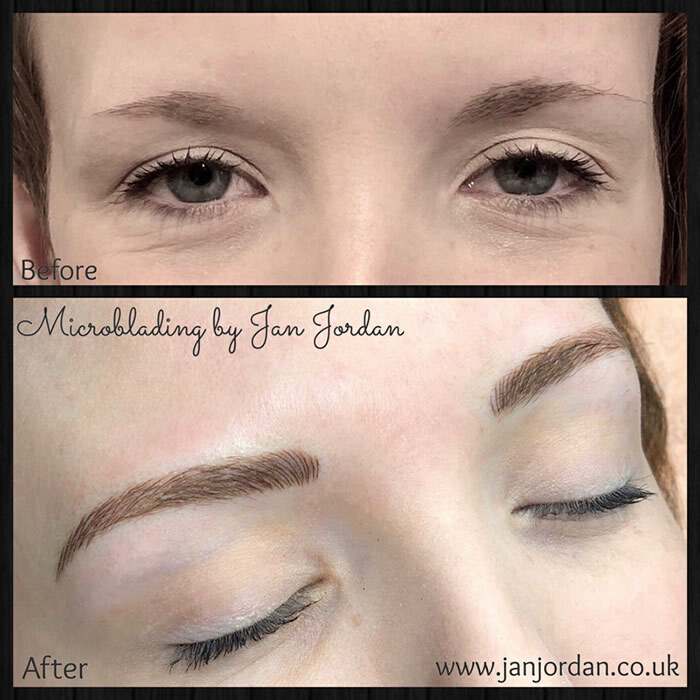 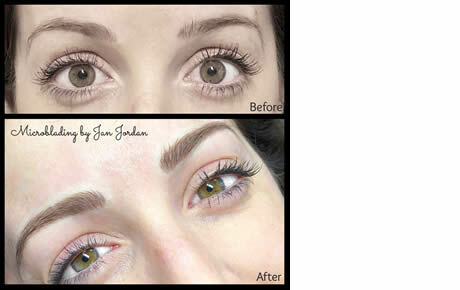 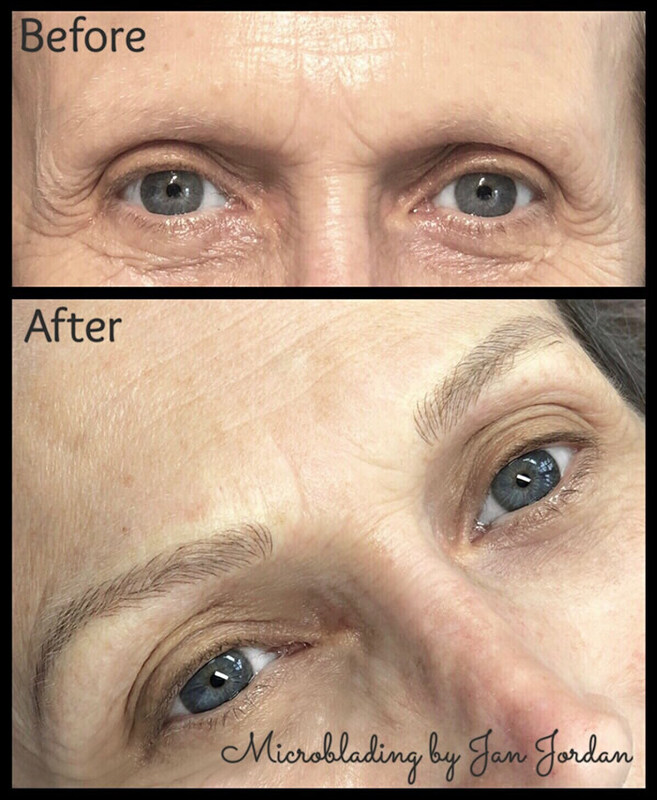 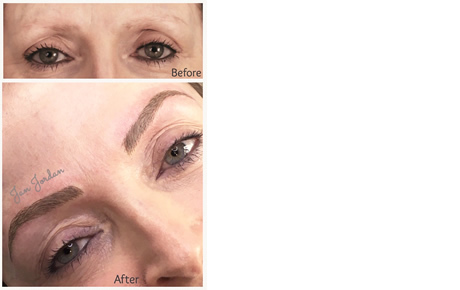 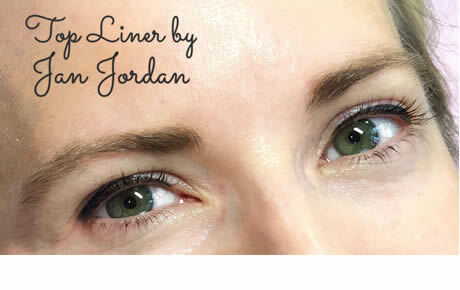 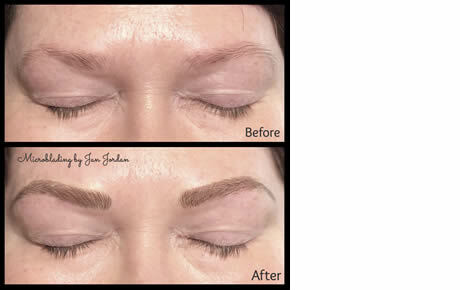 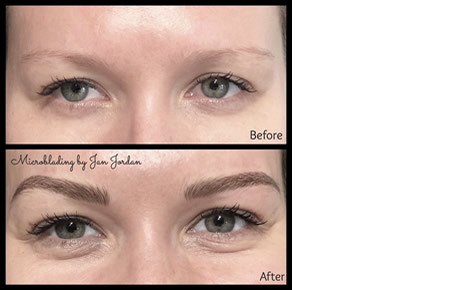 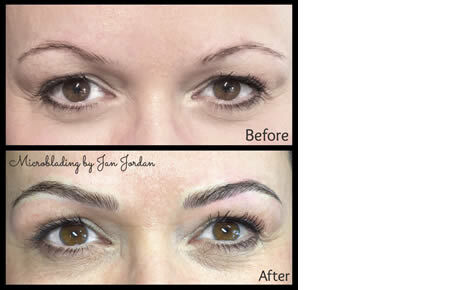 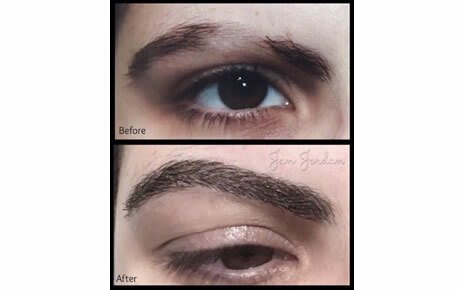 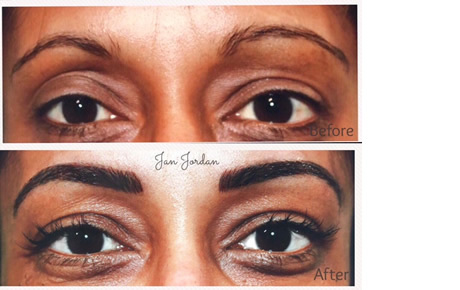 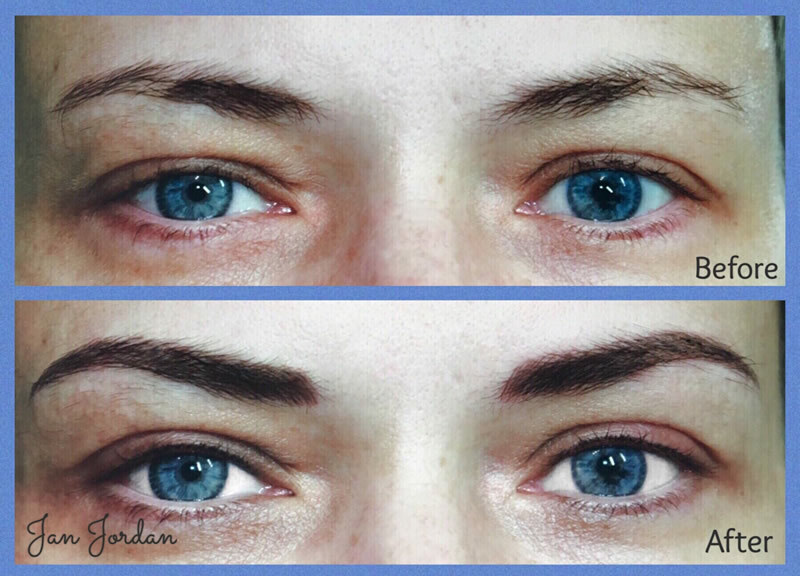 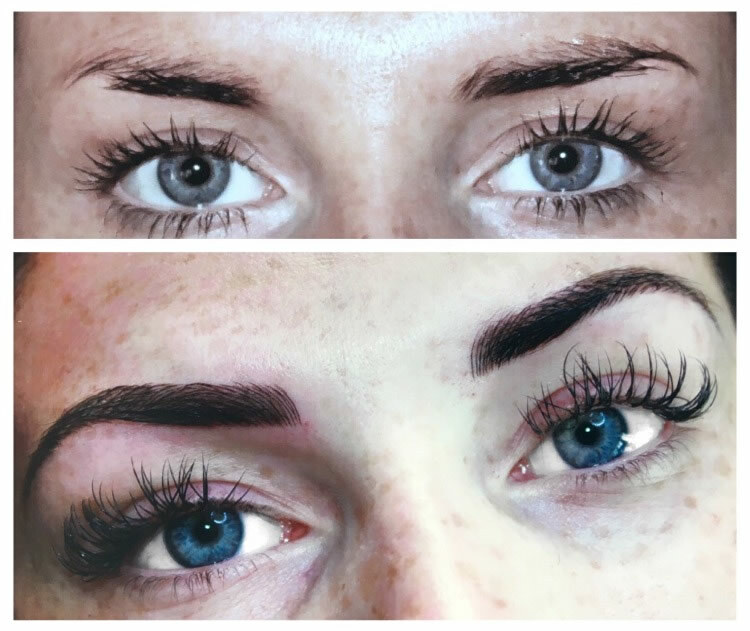 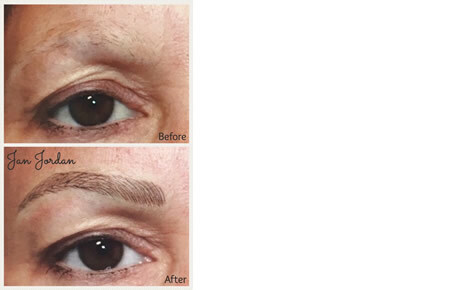 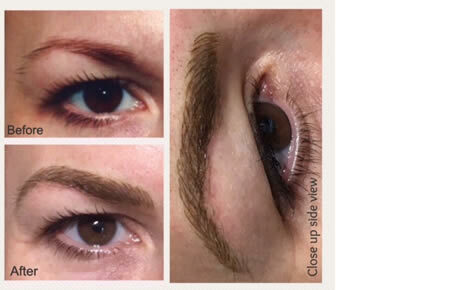 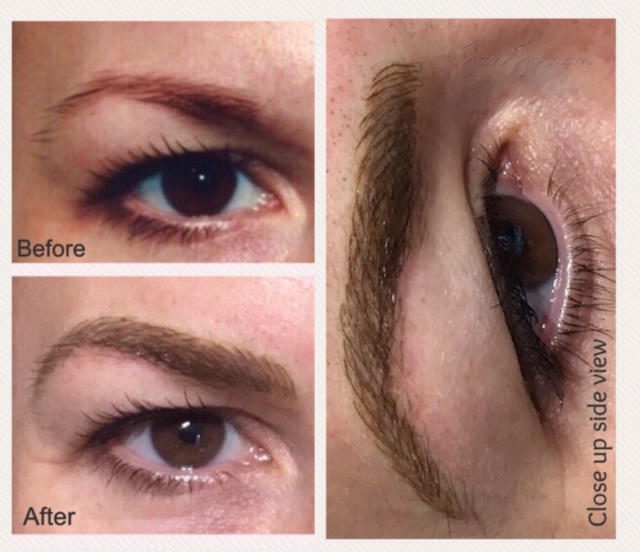 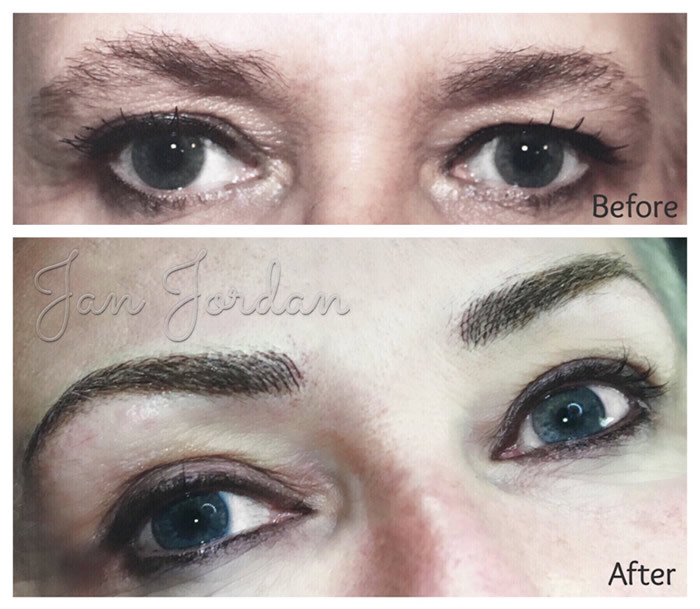 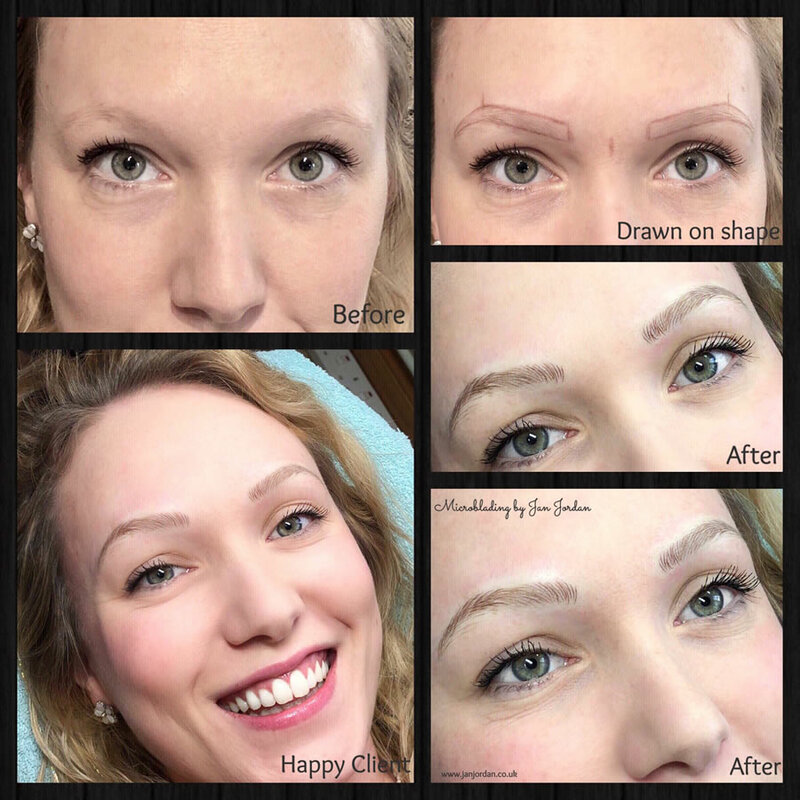 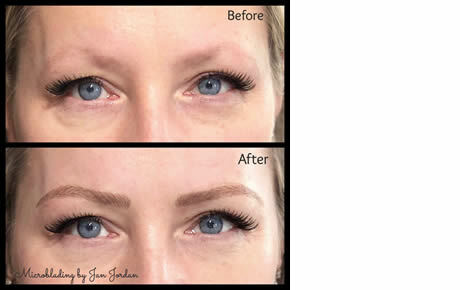 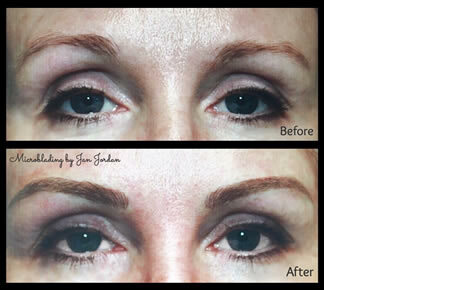 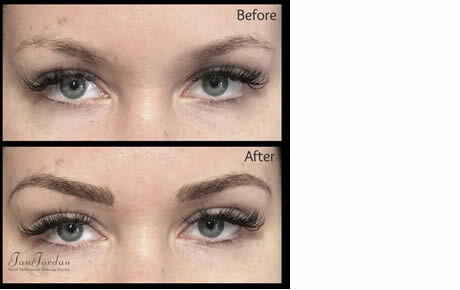 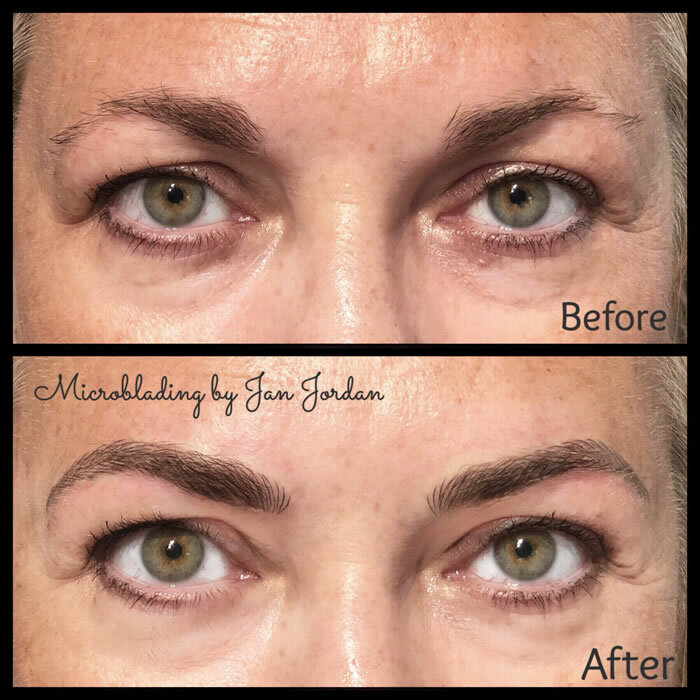 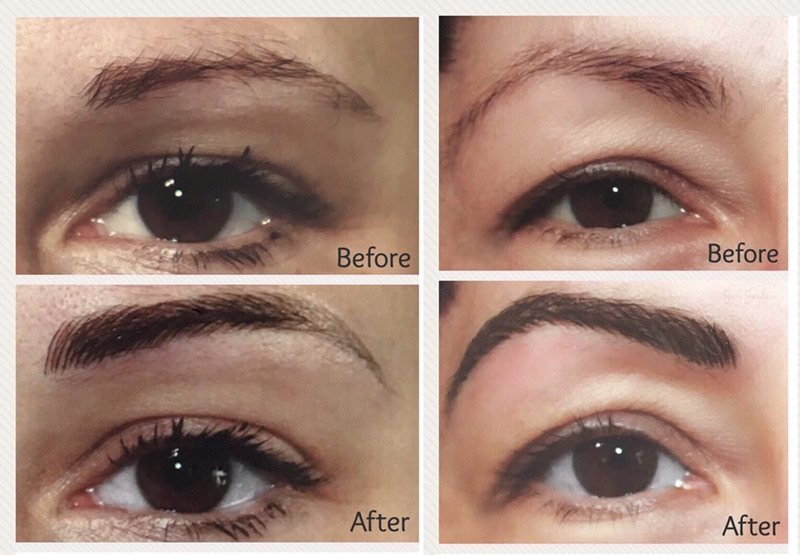 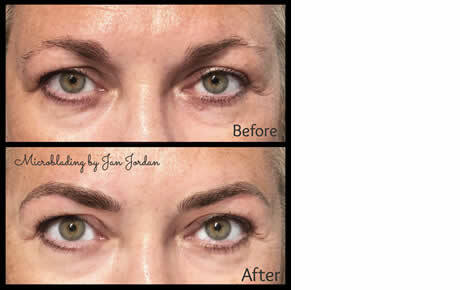 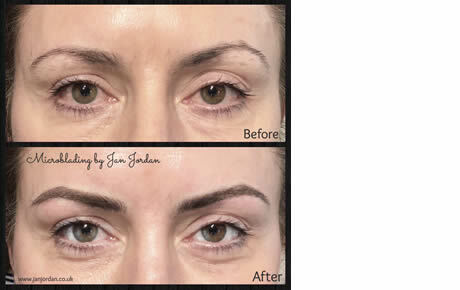 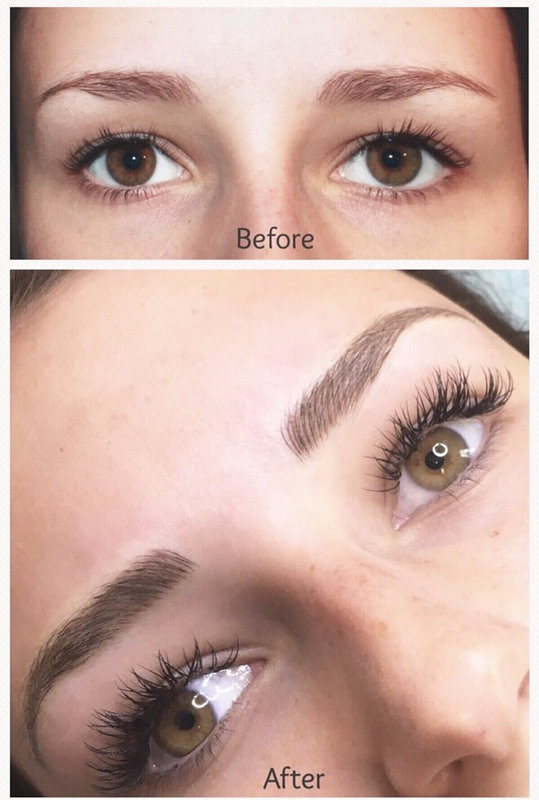 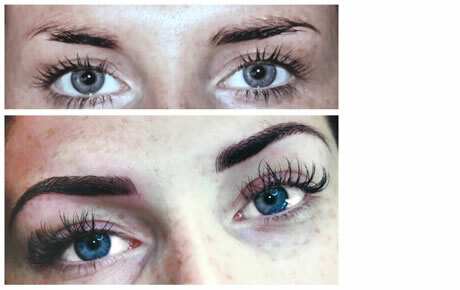 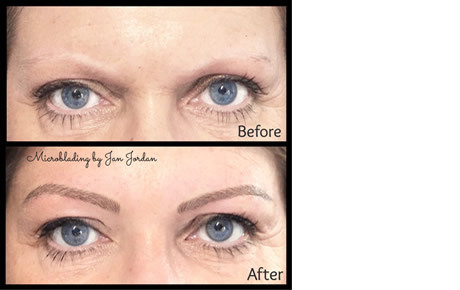 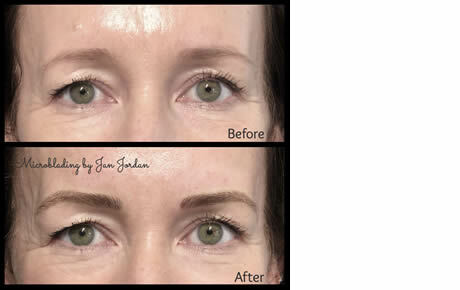 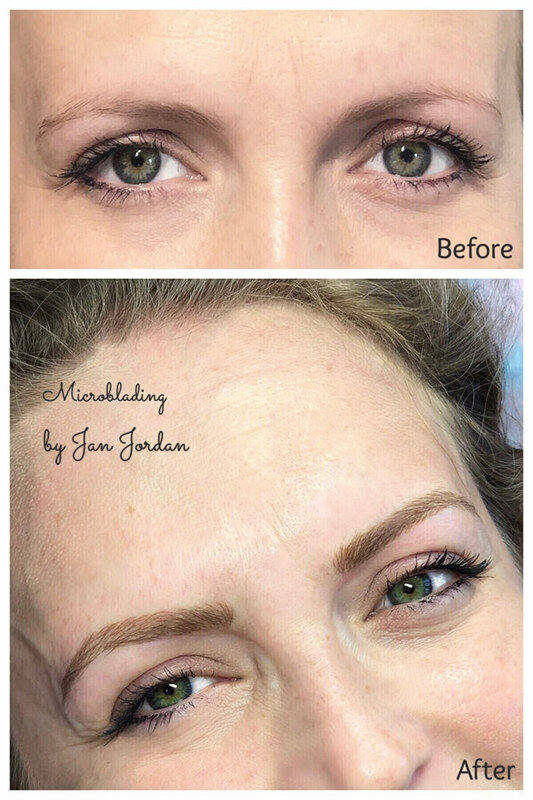 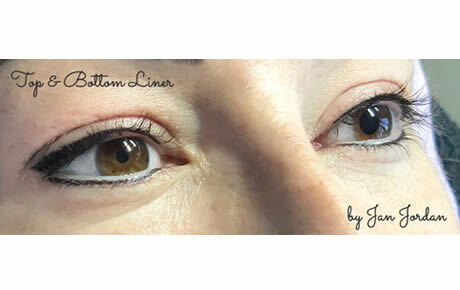 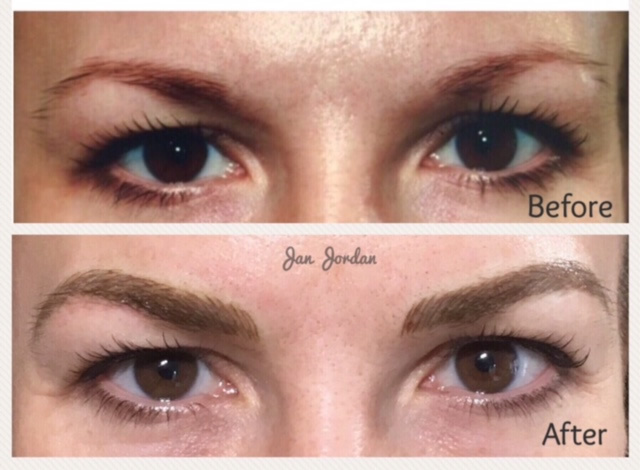 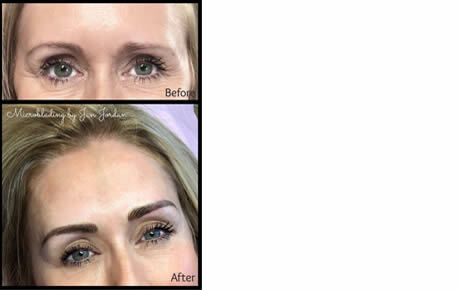 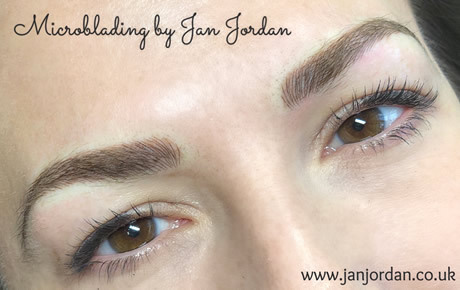 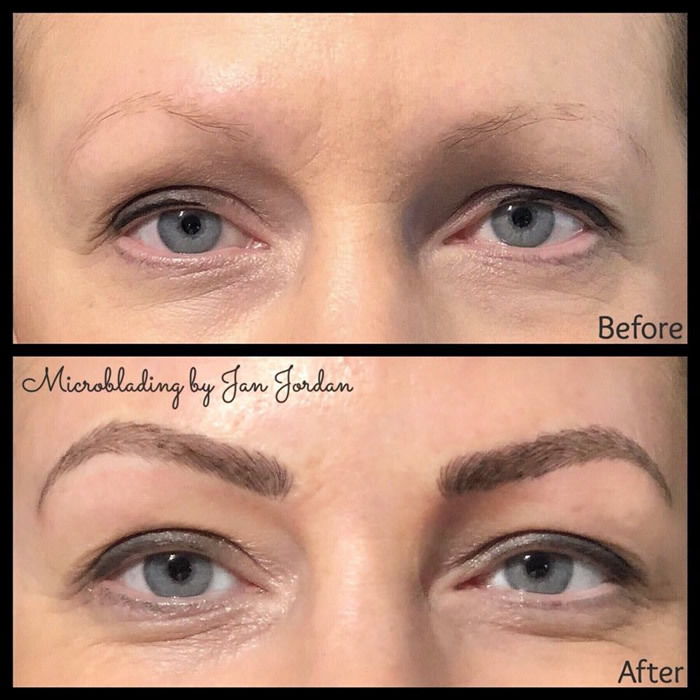 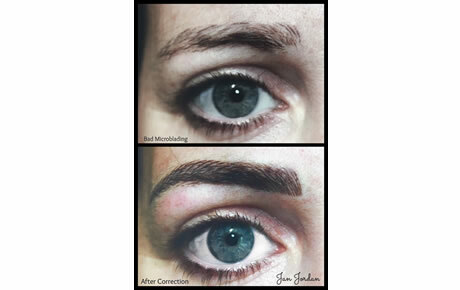 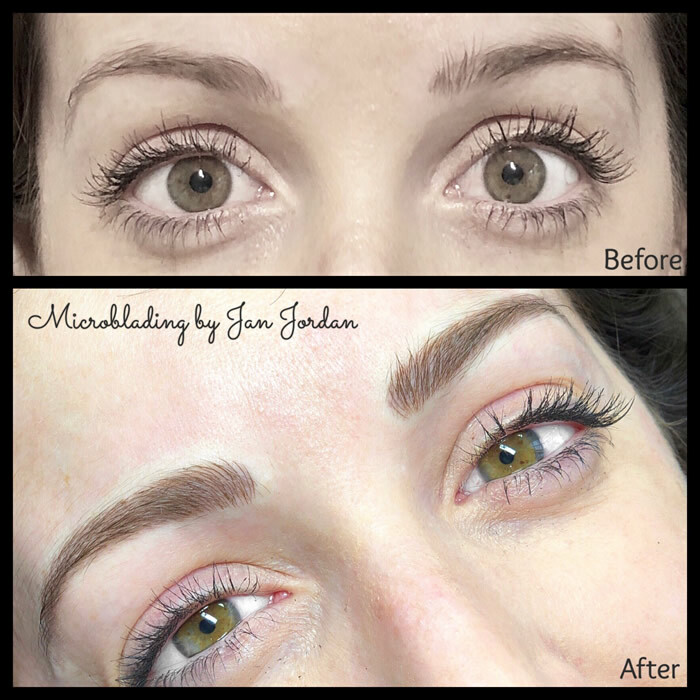 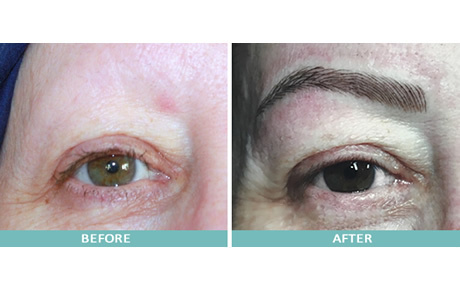 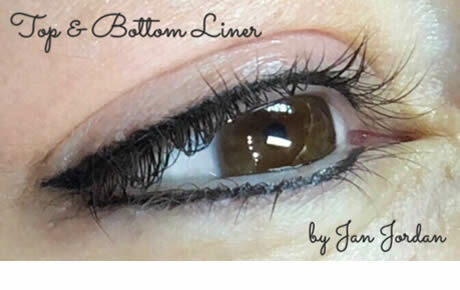 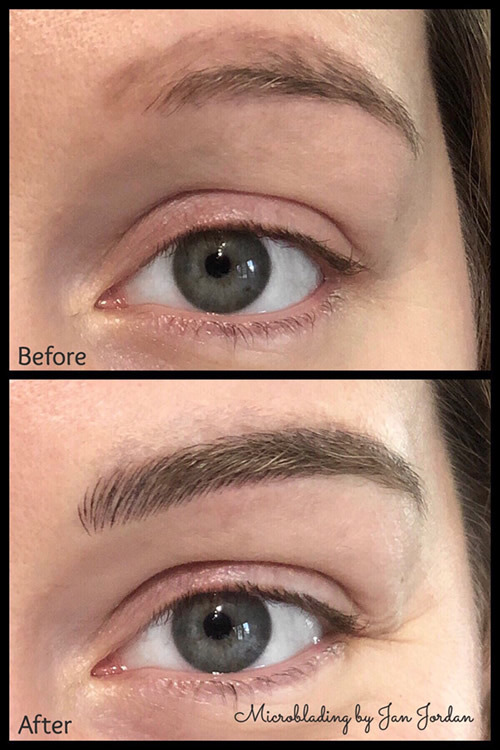 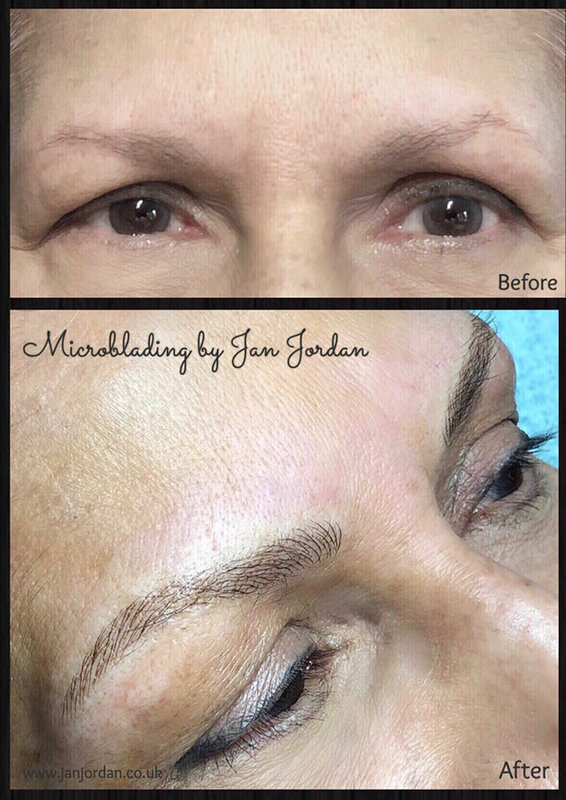 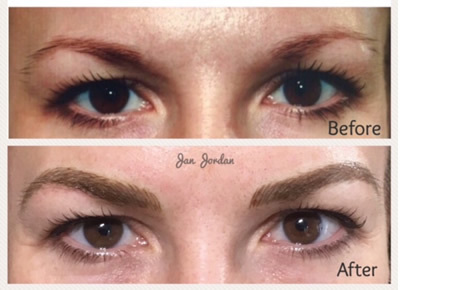 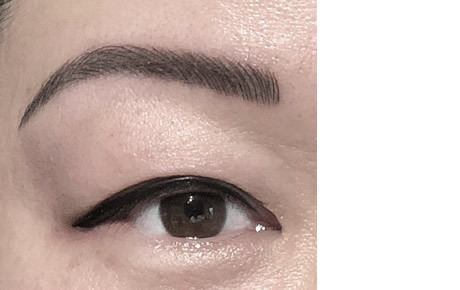 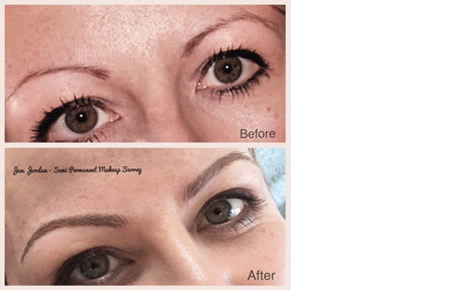 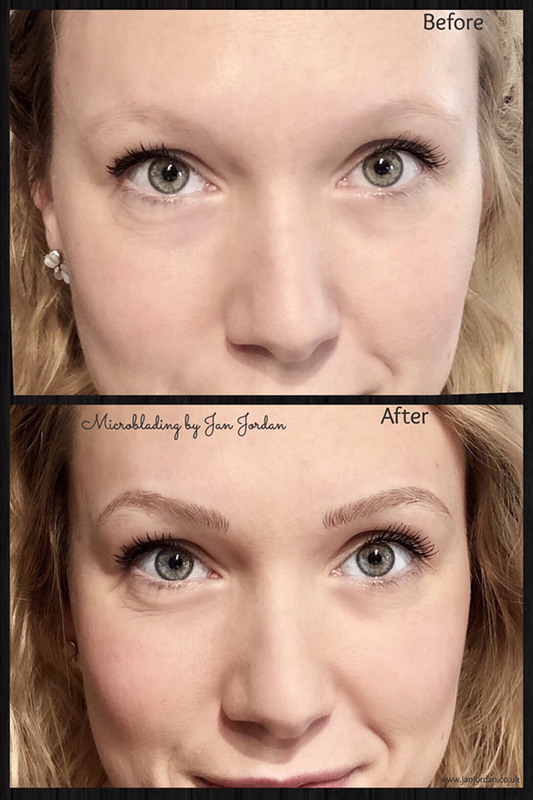 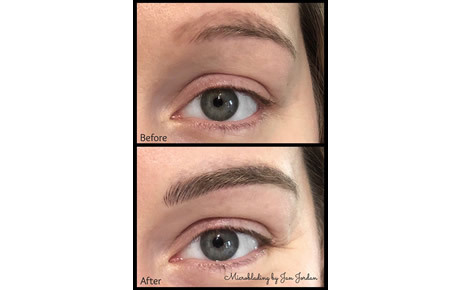 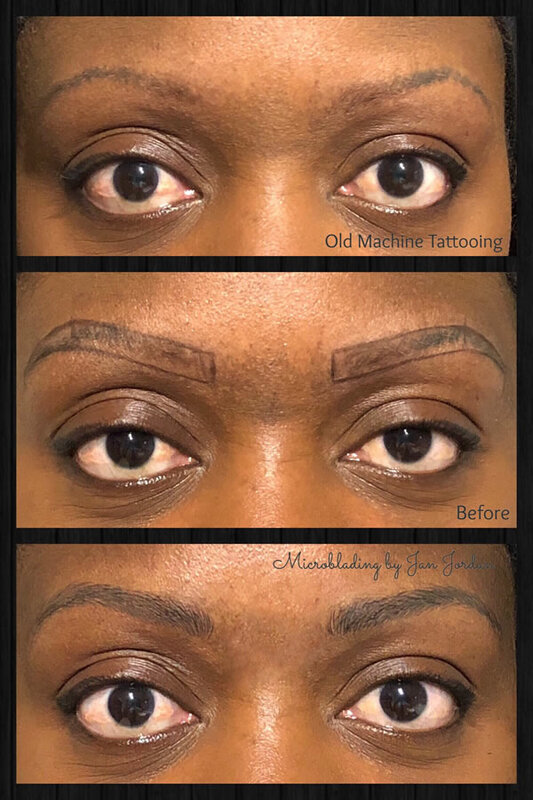 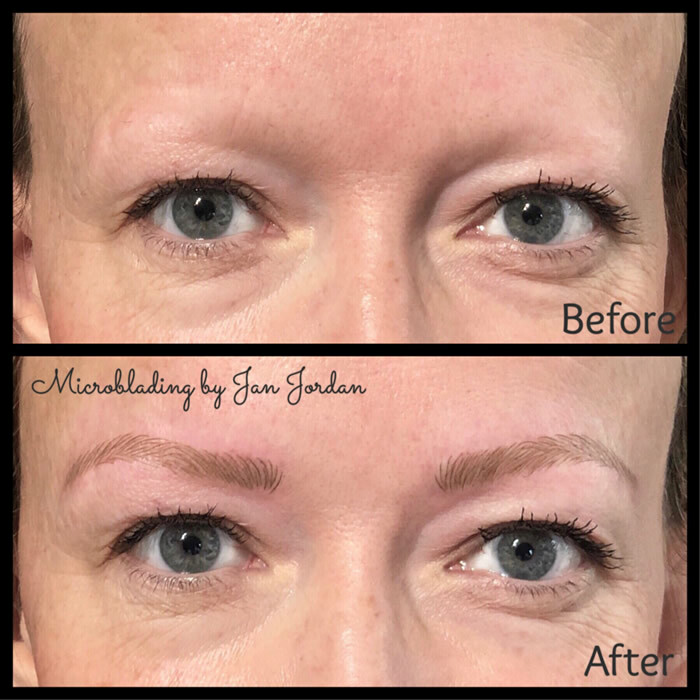 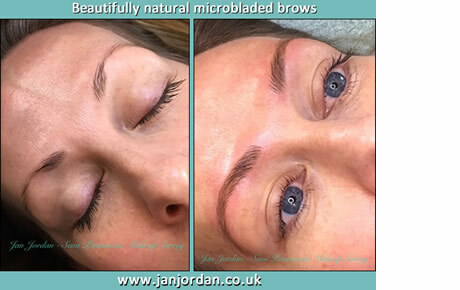 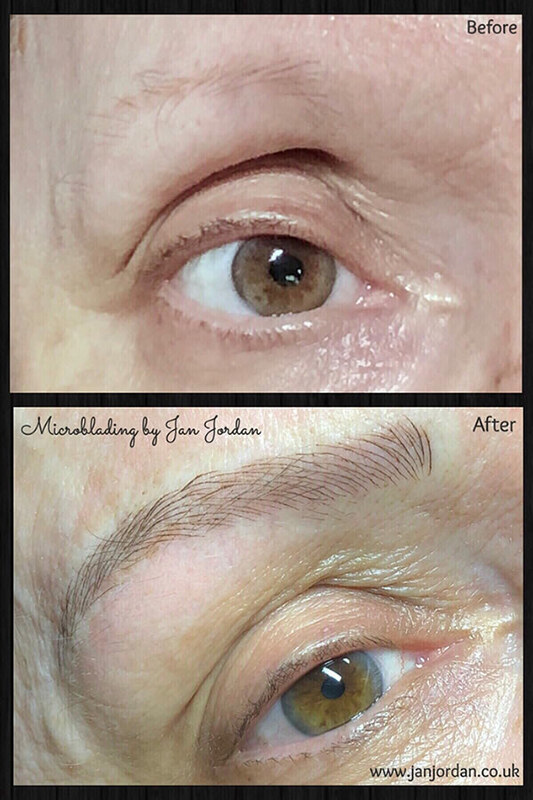 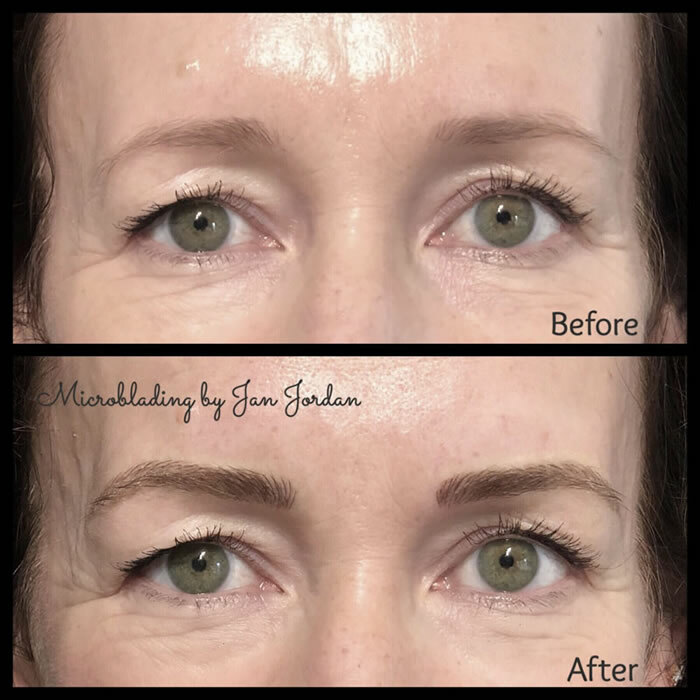 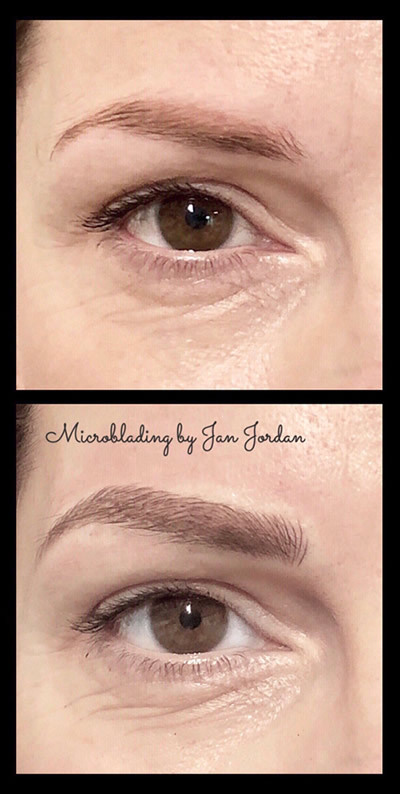 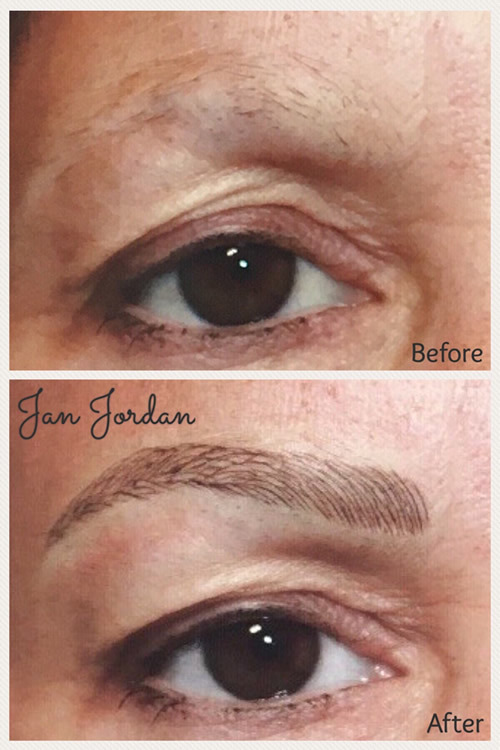 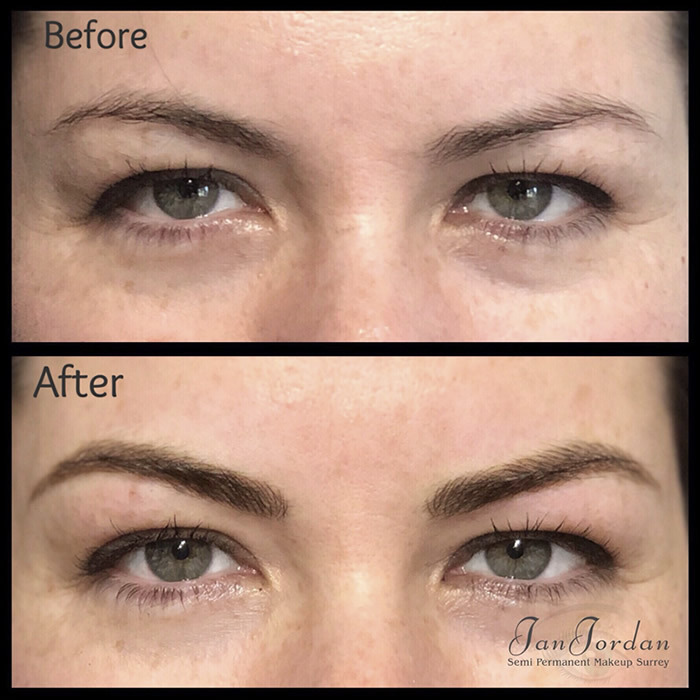 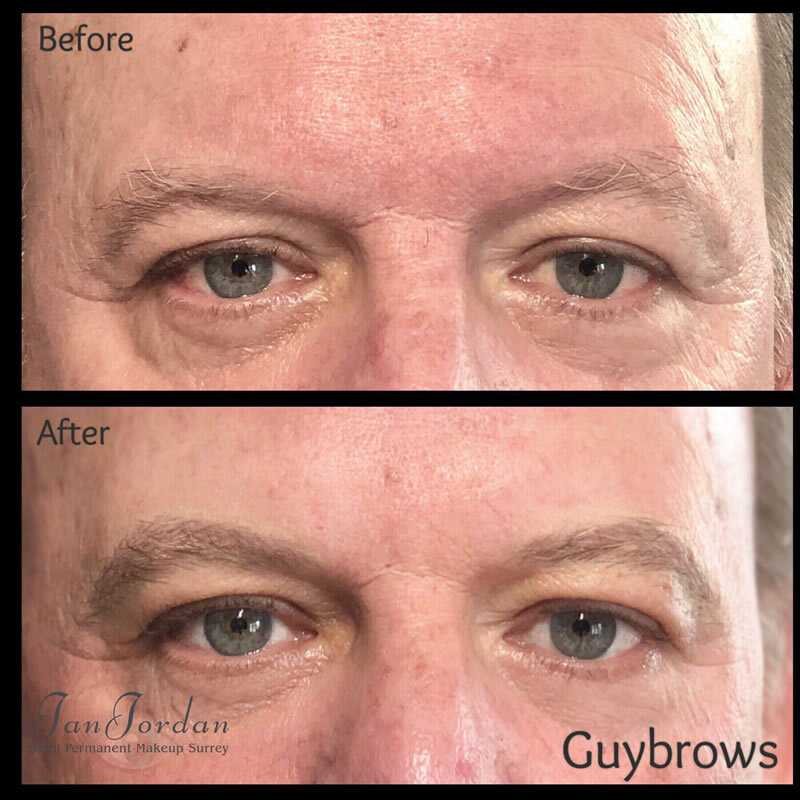 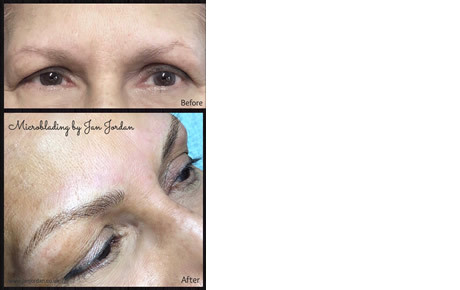 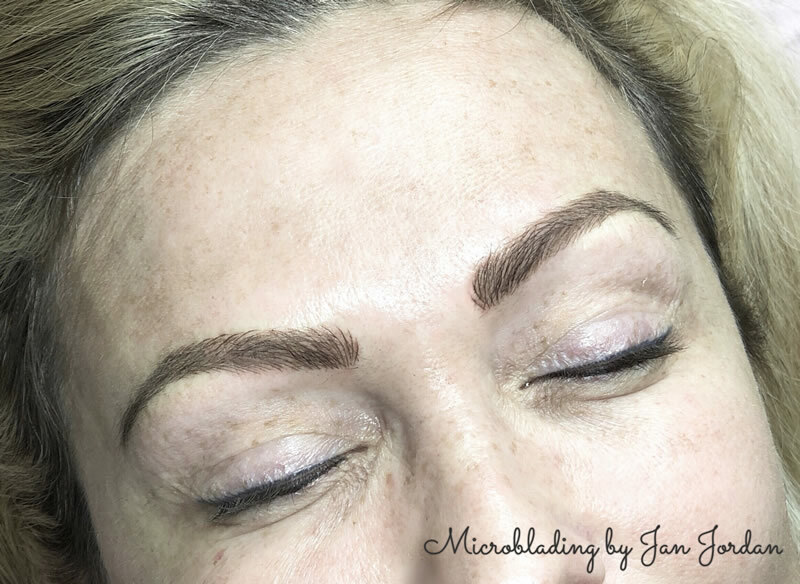 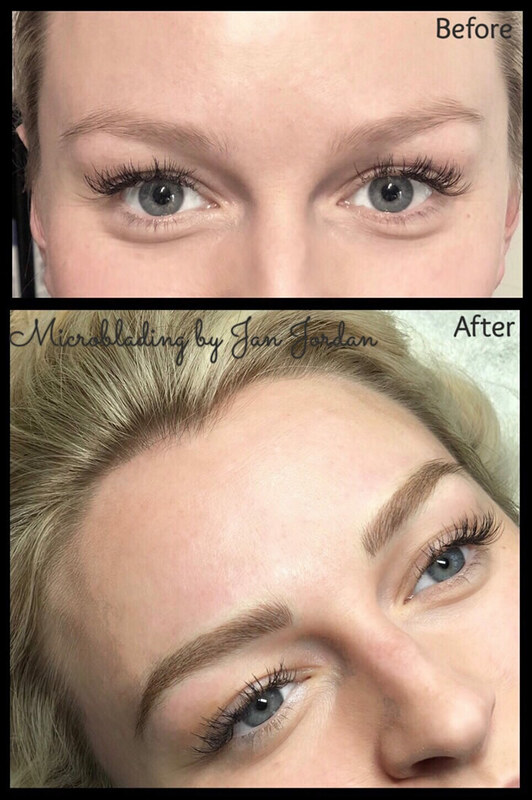 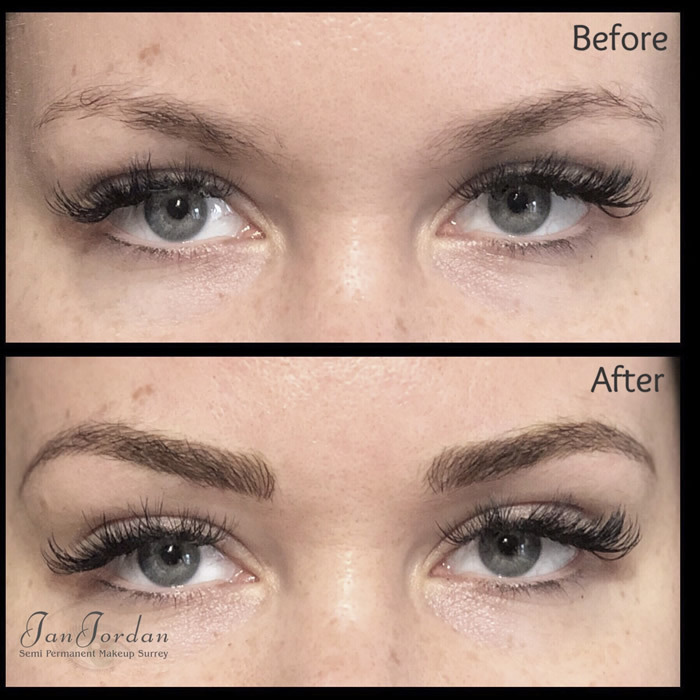 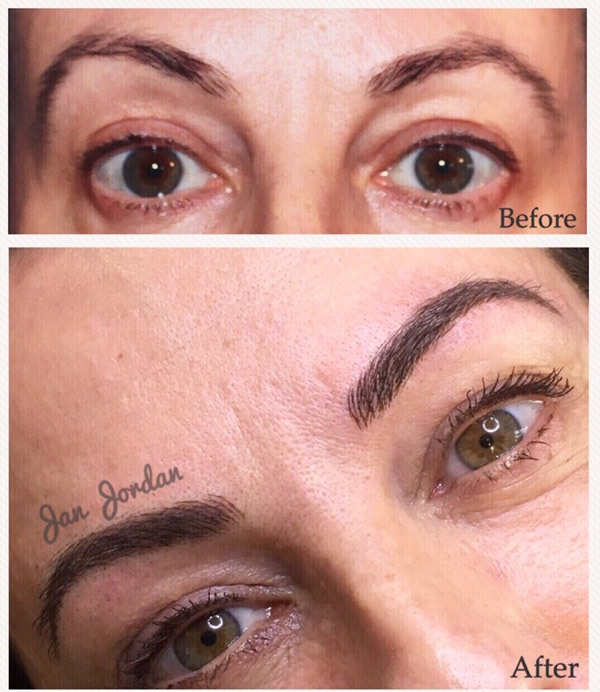 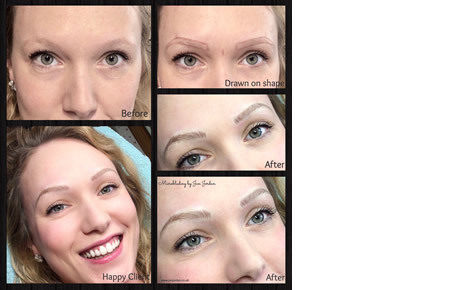 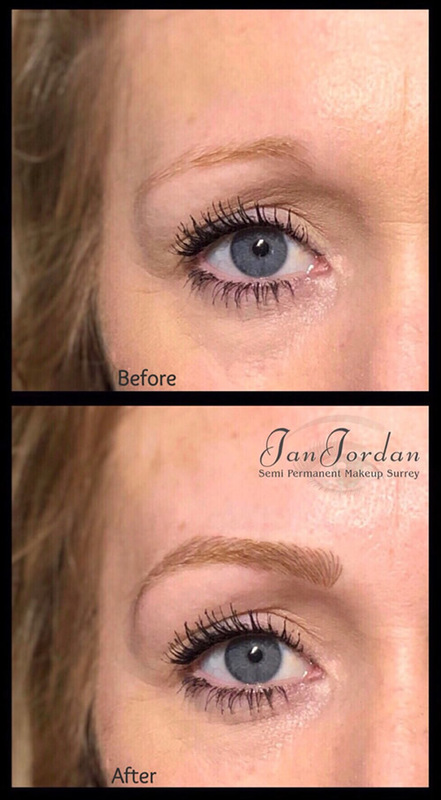 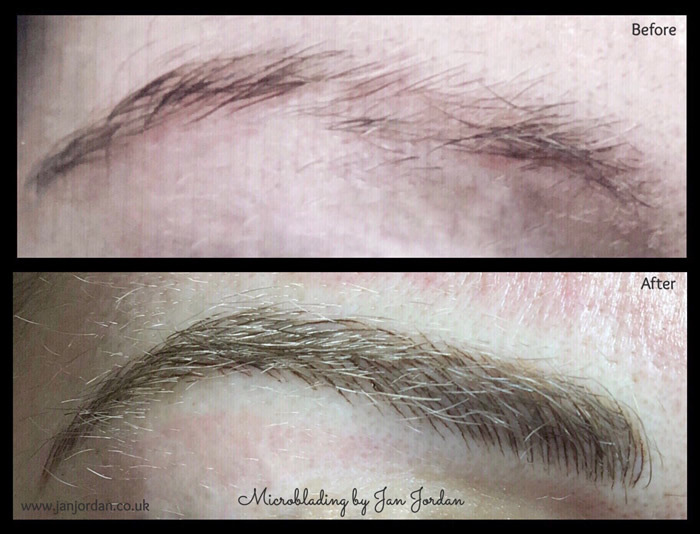 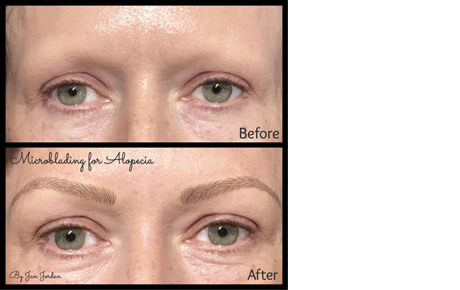 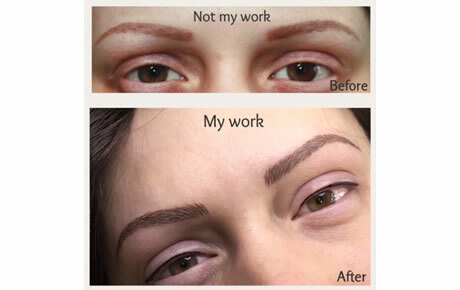 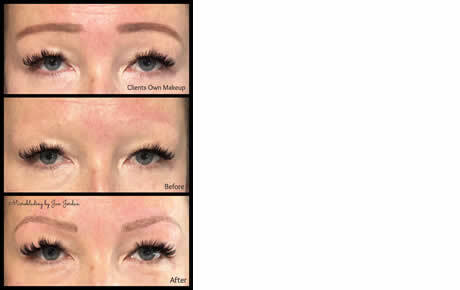 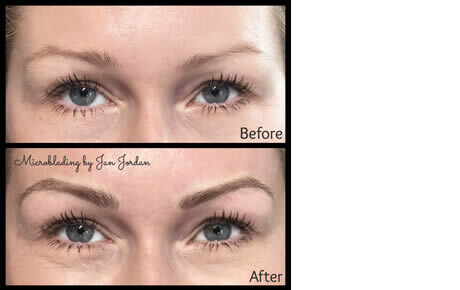 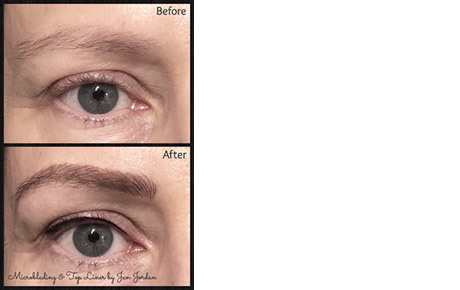 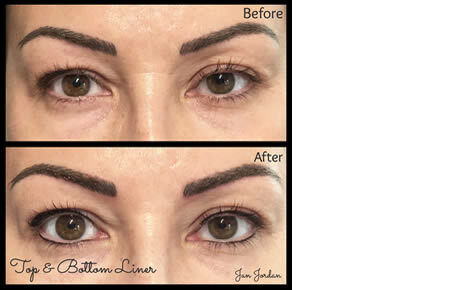 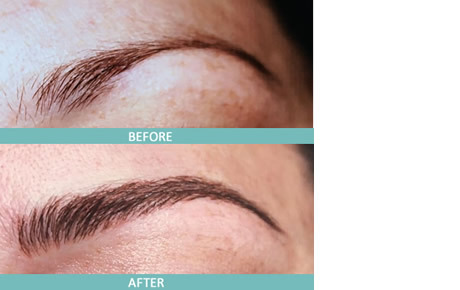 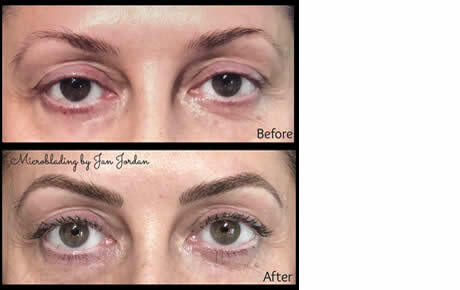 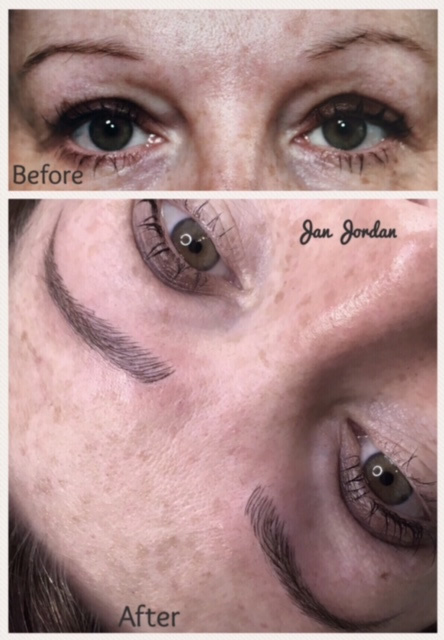 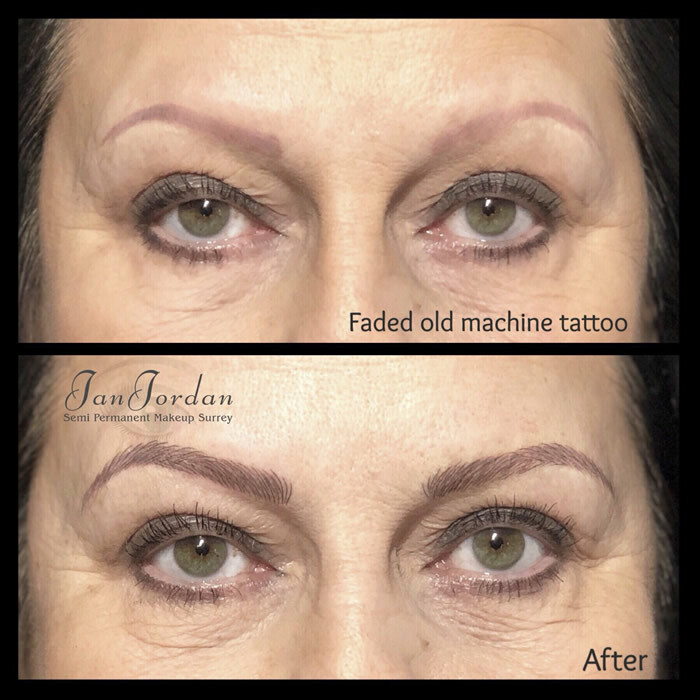 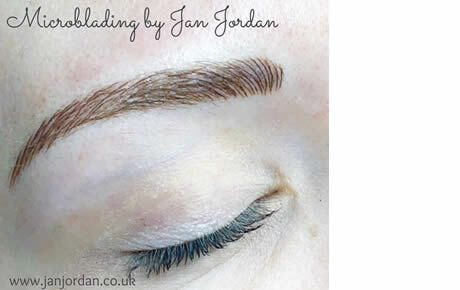 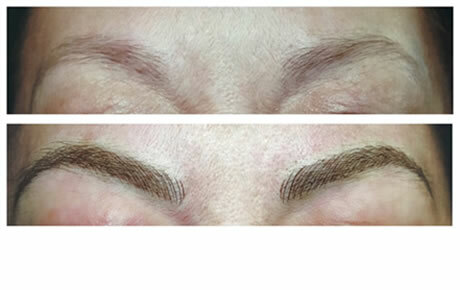 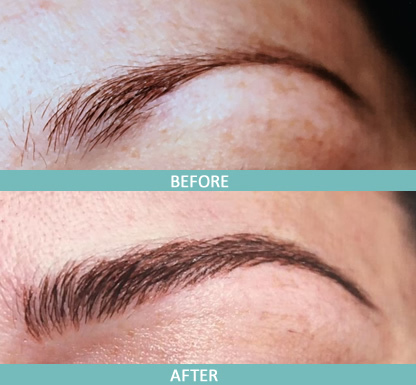 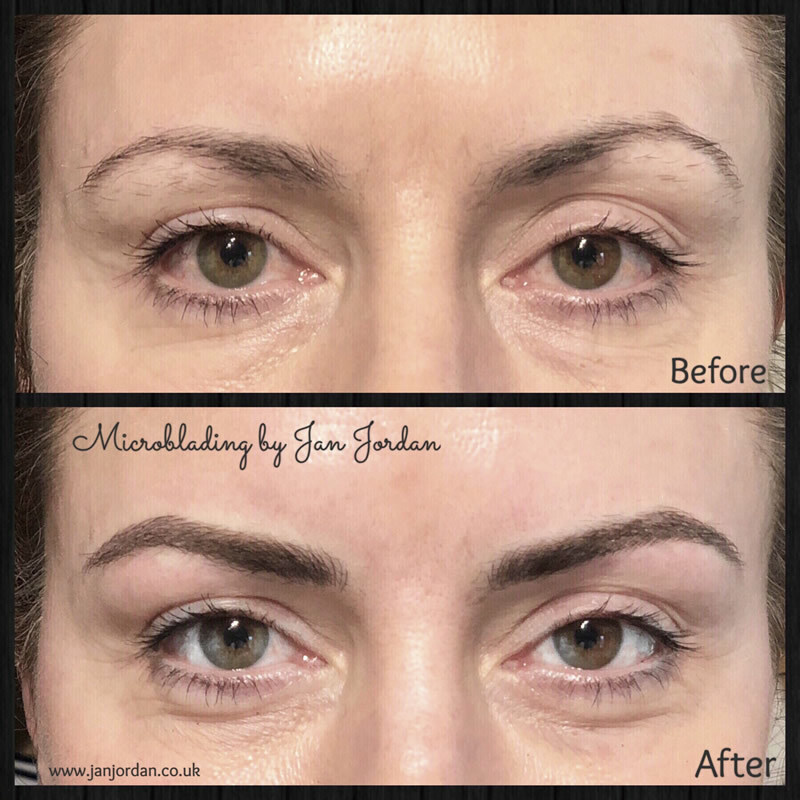 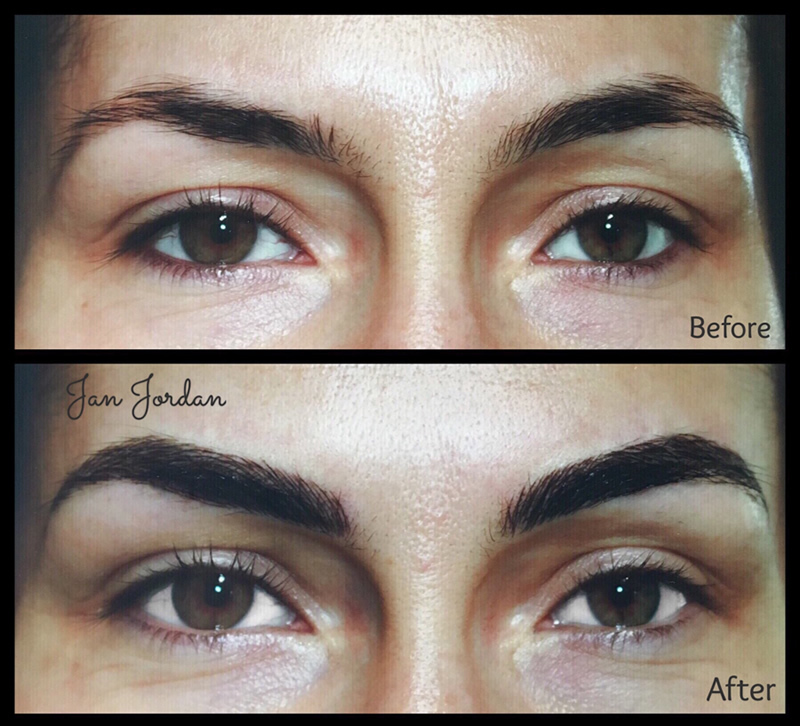 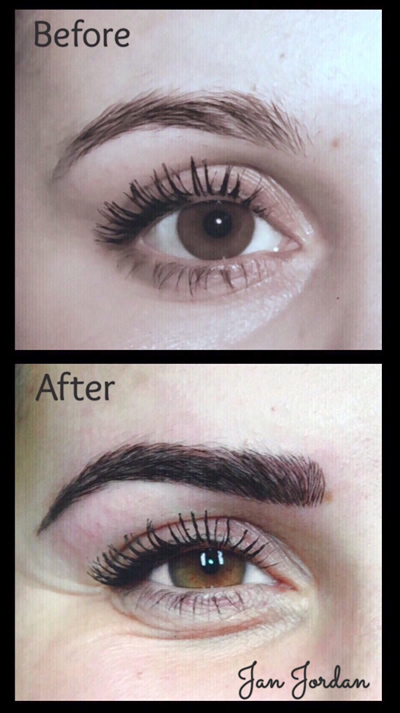 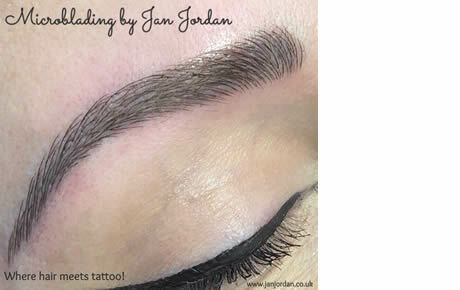 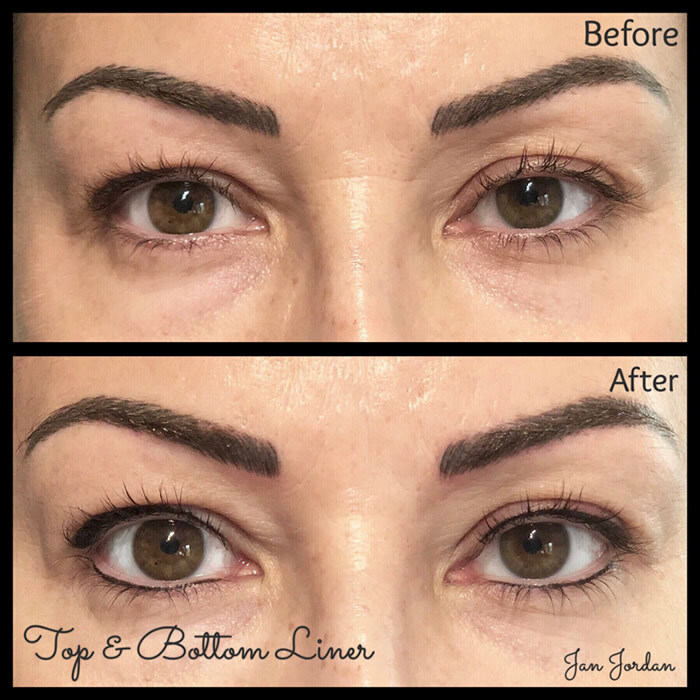 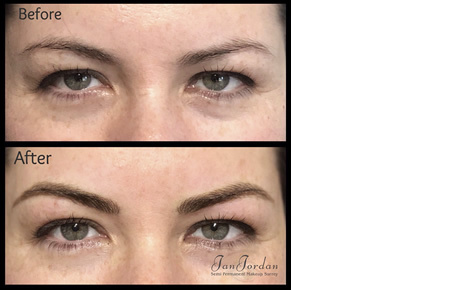 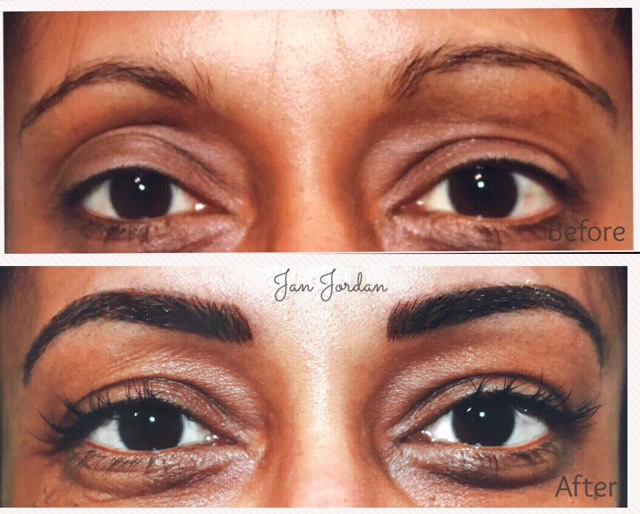 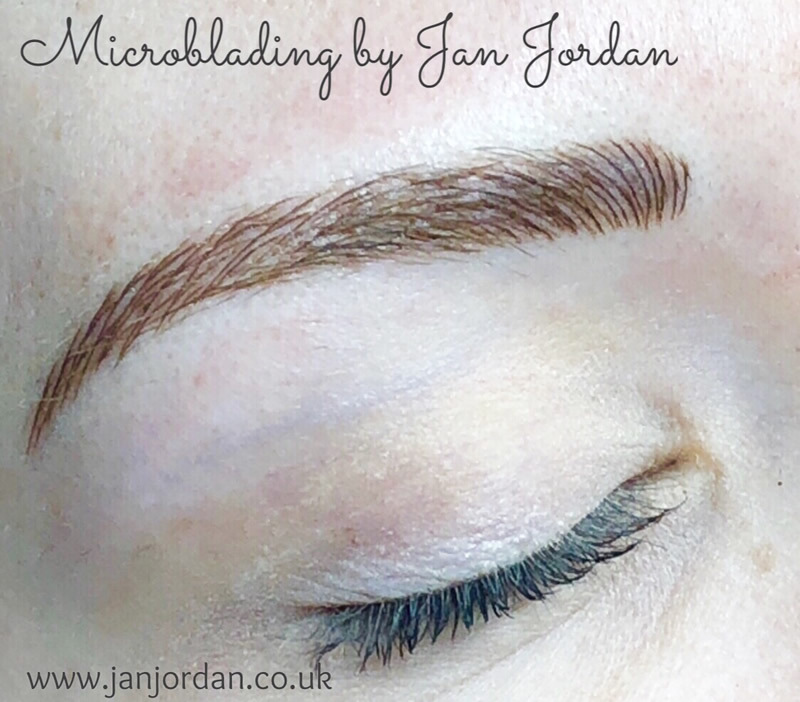 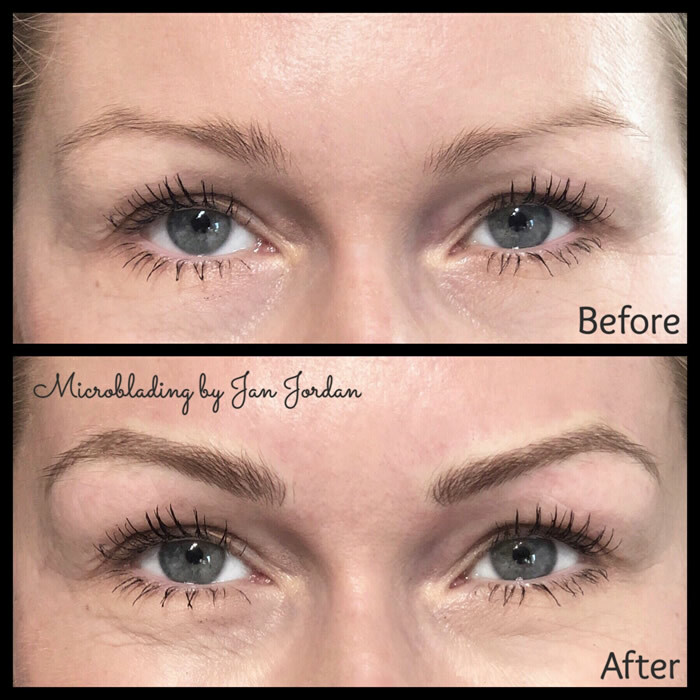 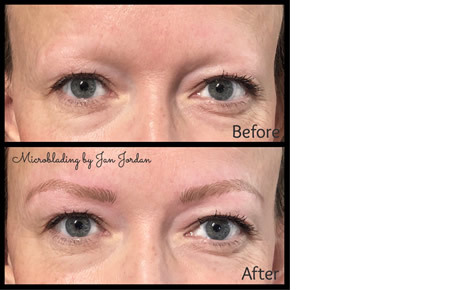 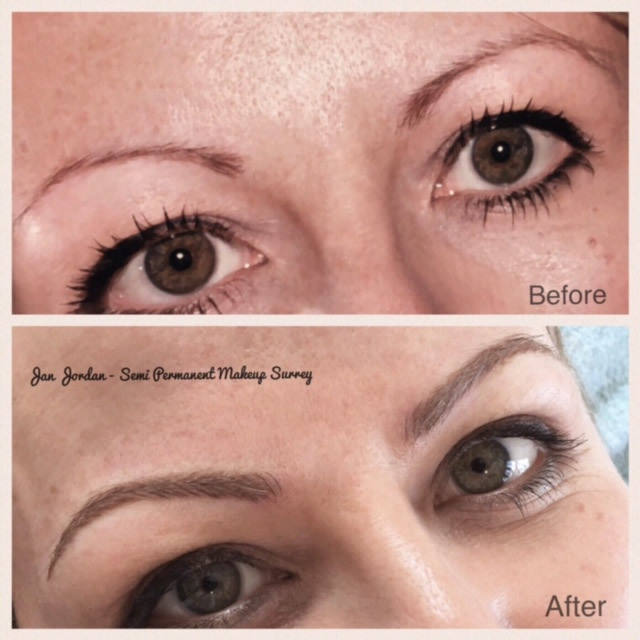 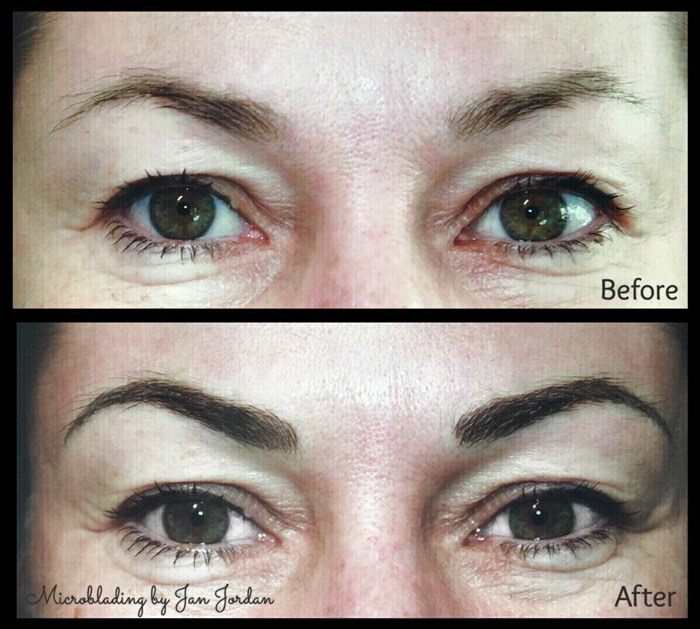 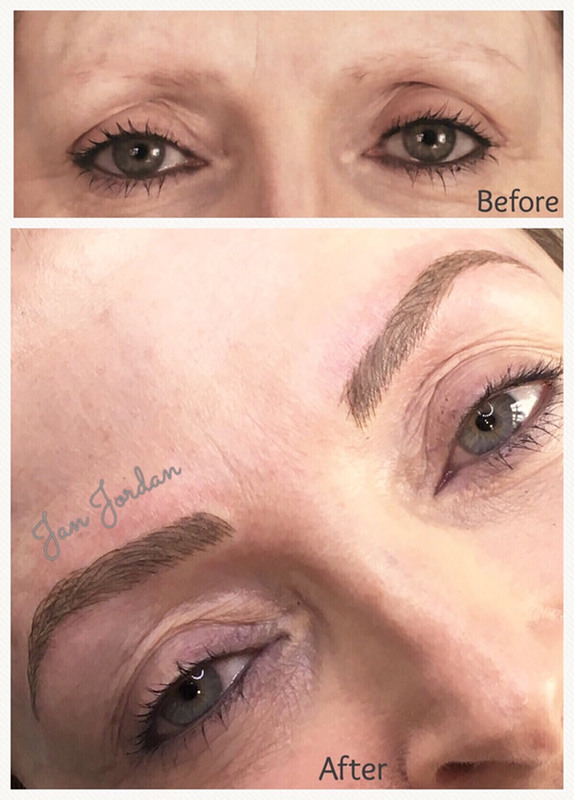 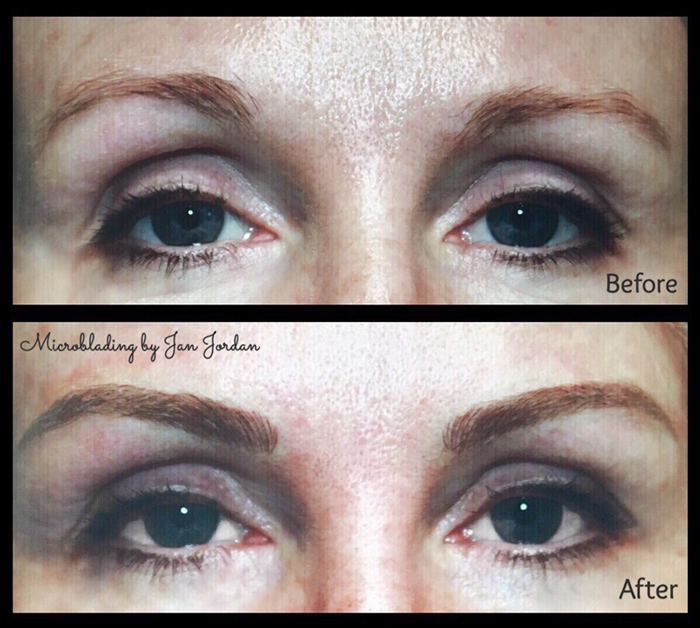 This lady had Microblading done by a practitioner over a year ago. 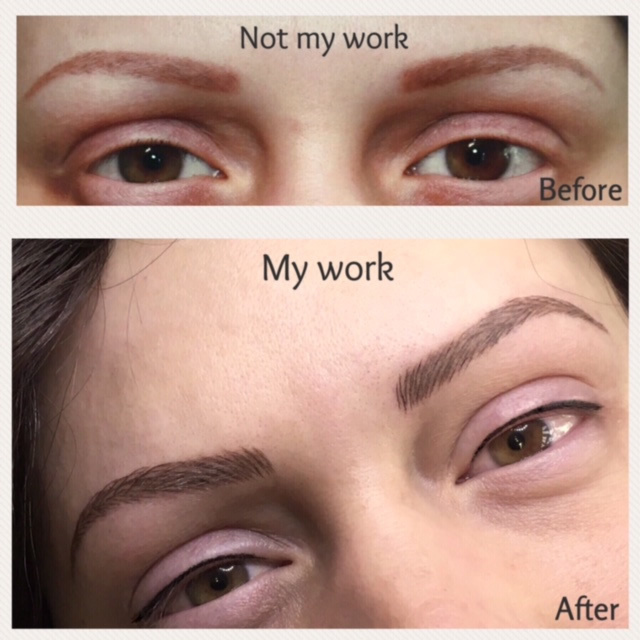 As you can see, it was a disaster! 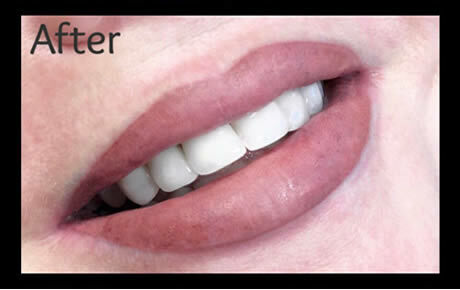 Please BE CAREFUL when you choose your practitioner! 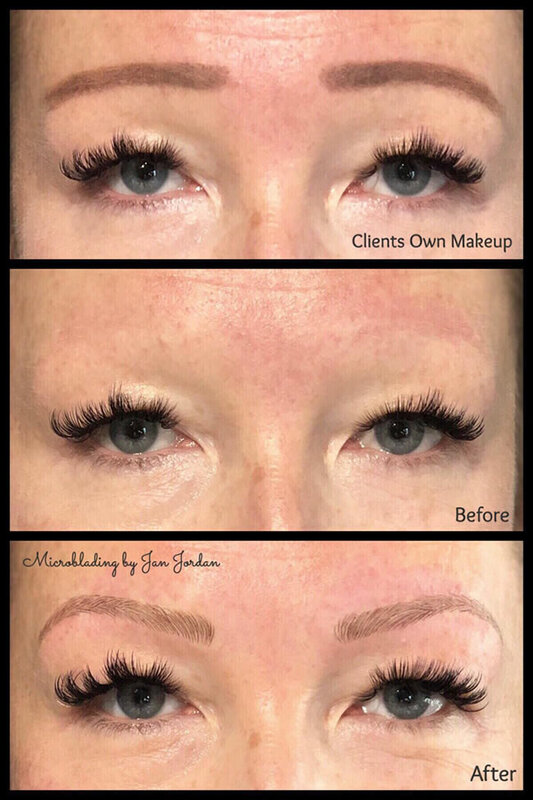 You need to see their work and read their reviews! 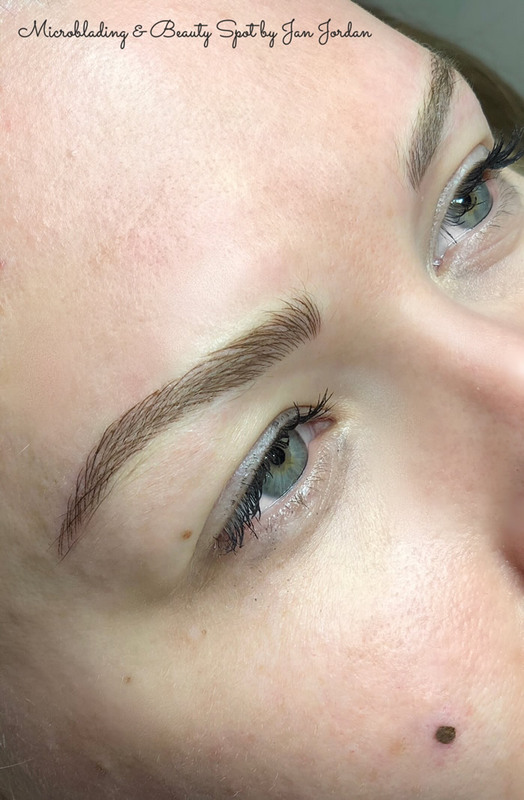 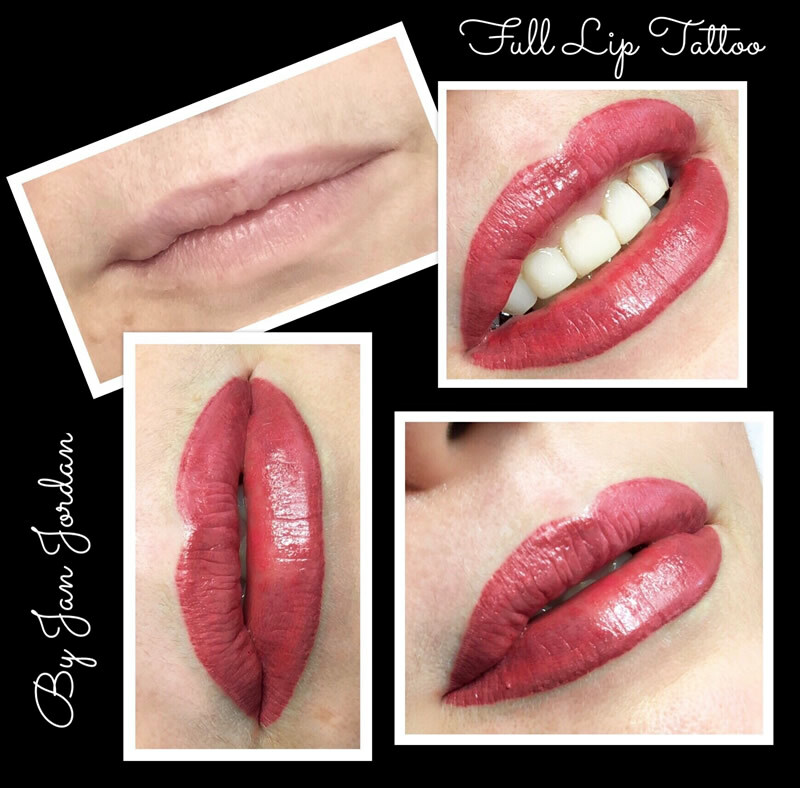 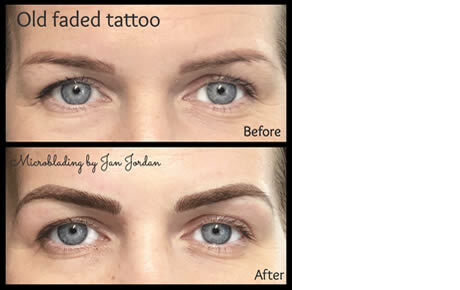 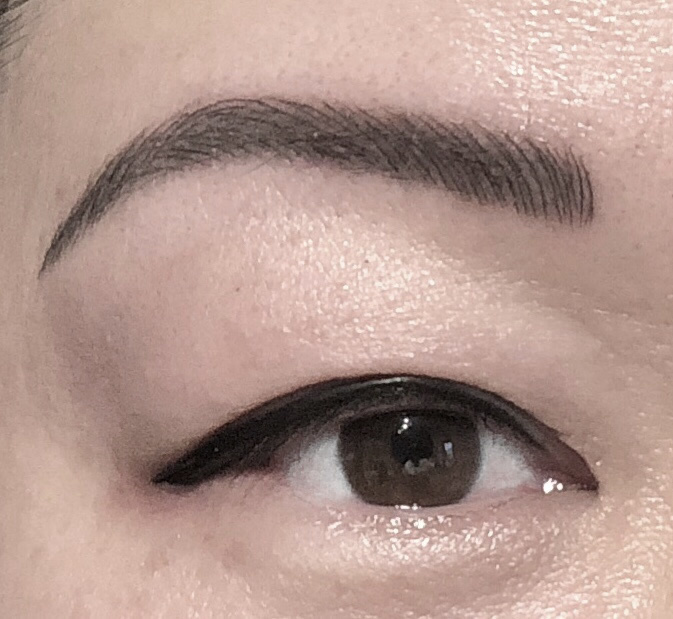 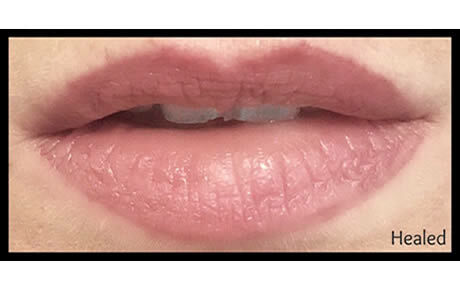 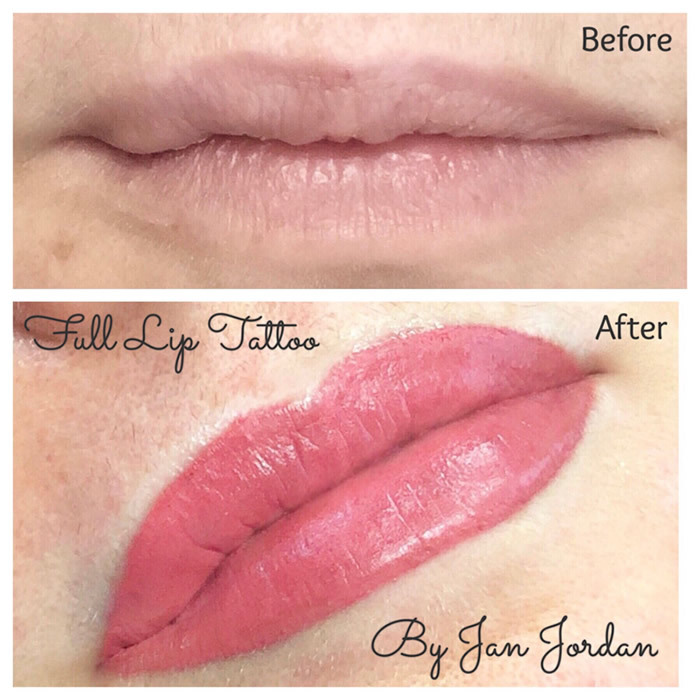 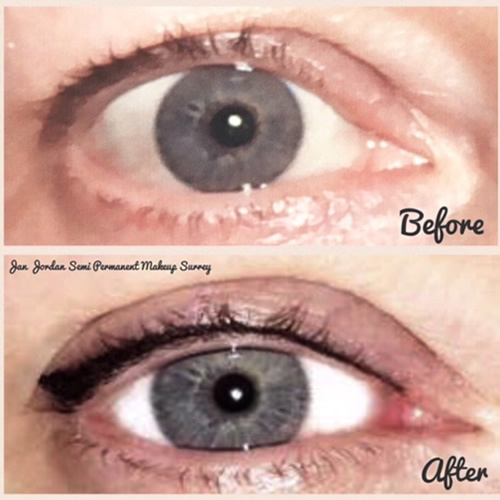 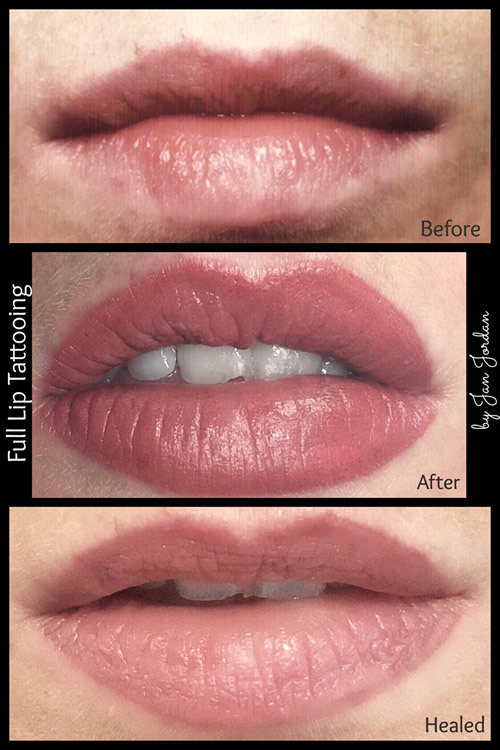 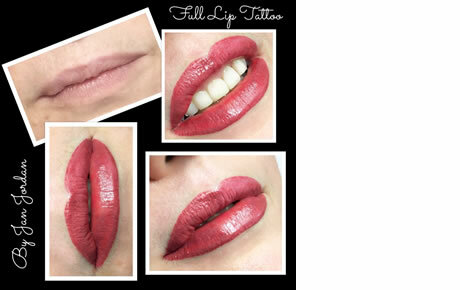 The area above where I did the tattoo correction has camouflage makeup on at the moment, as the client is starting a new job and didn’t want tattoo removal for a while. 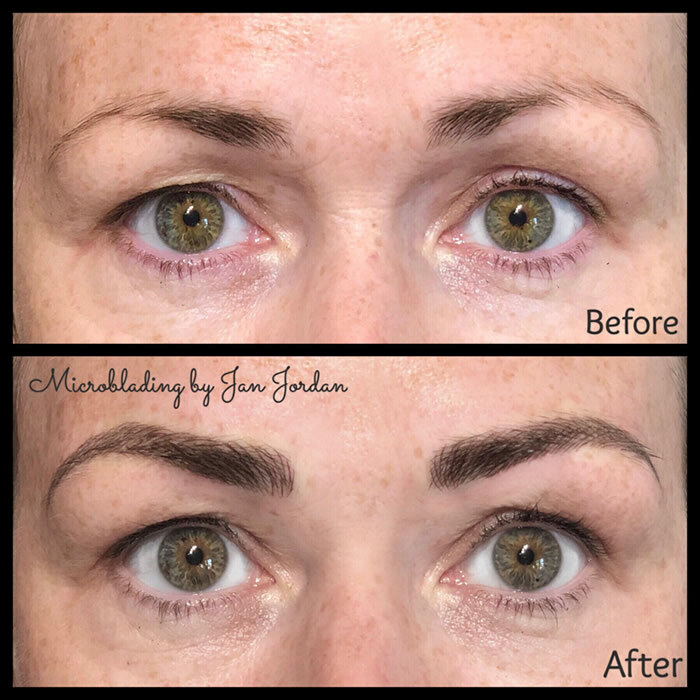 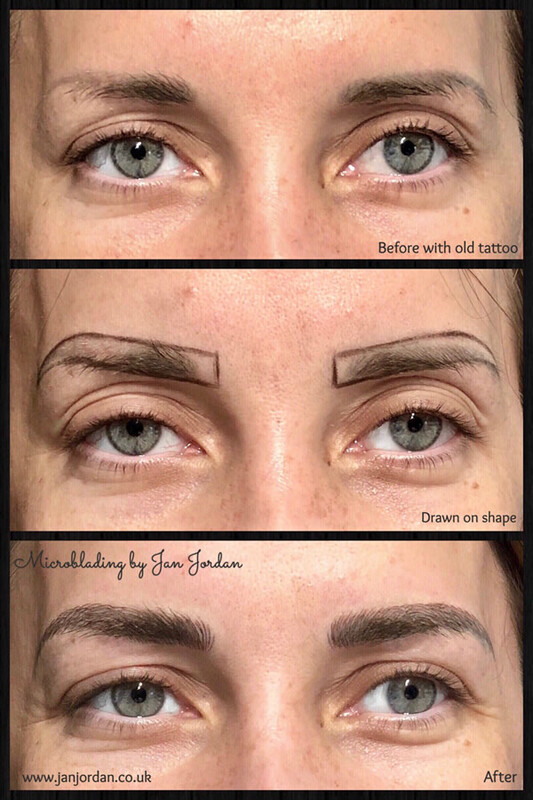 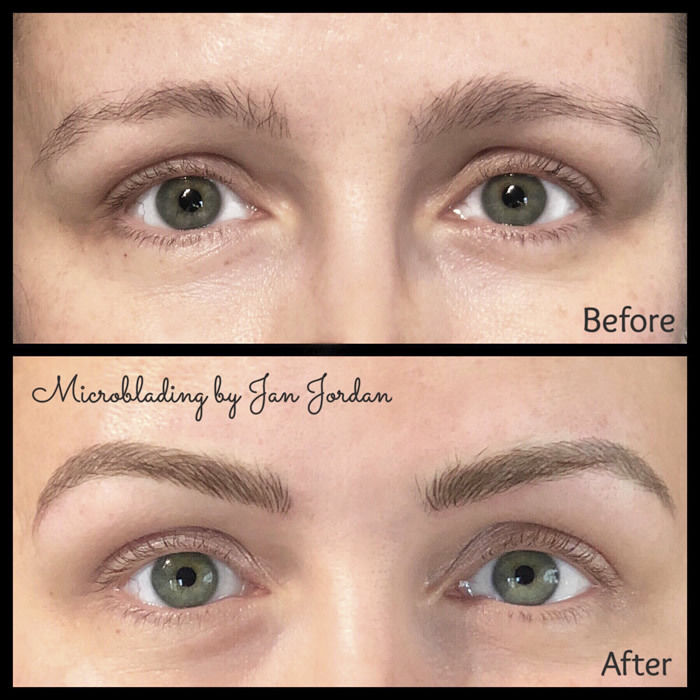 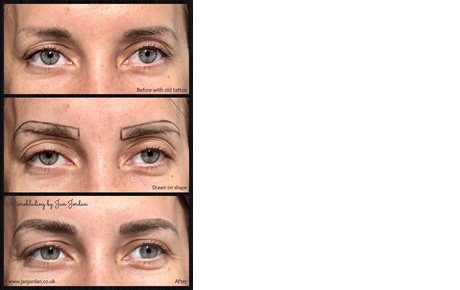 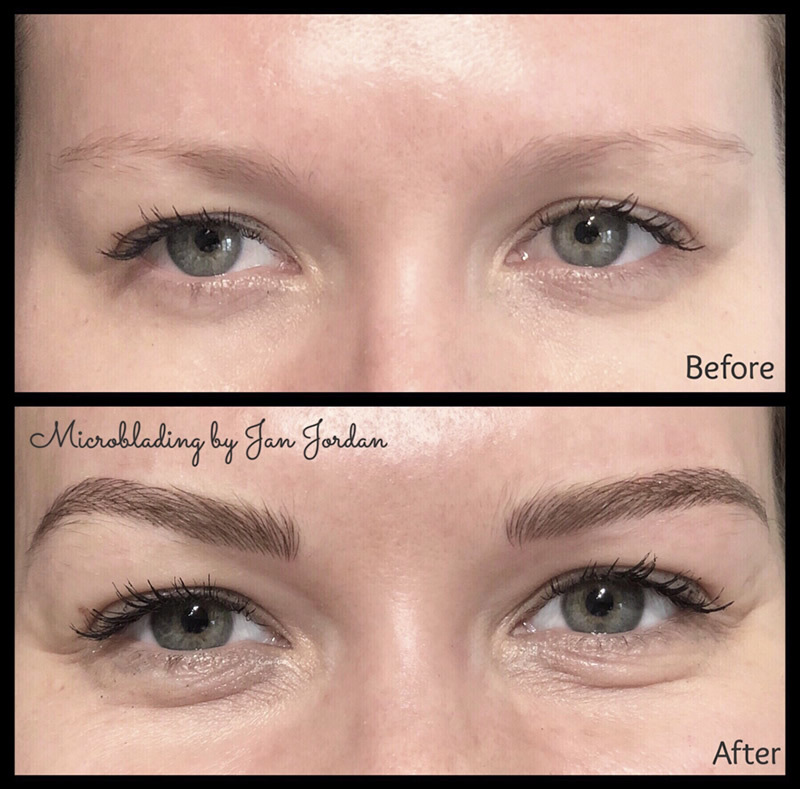 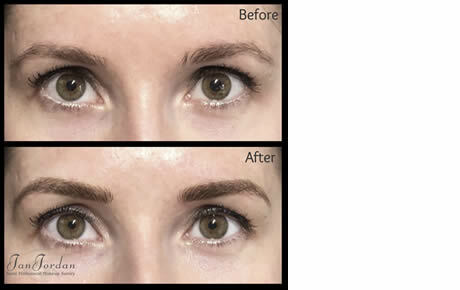 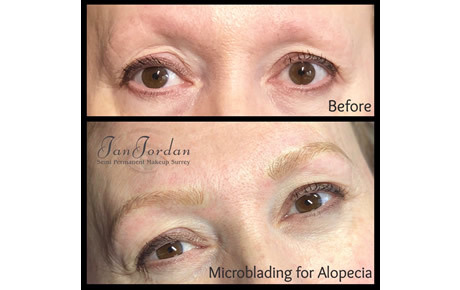 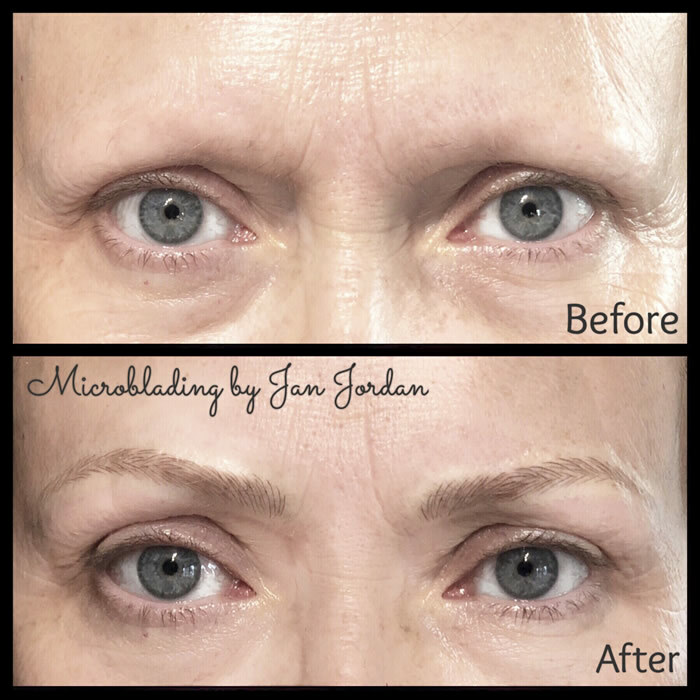 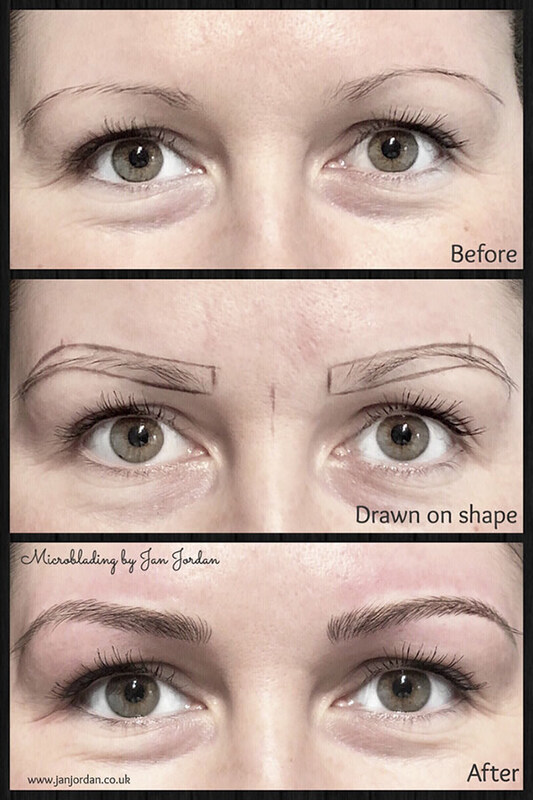 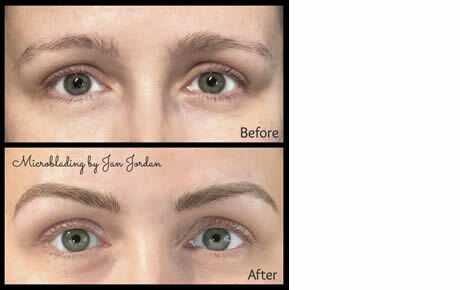 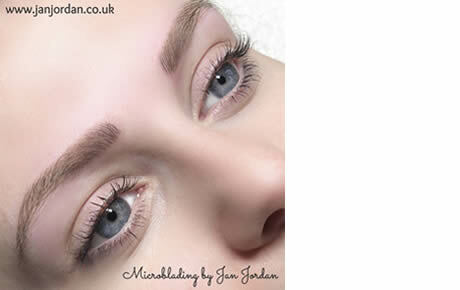 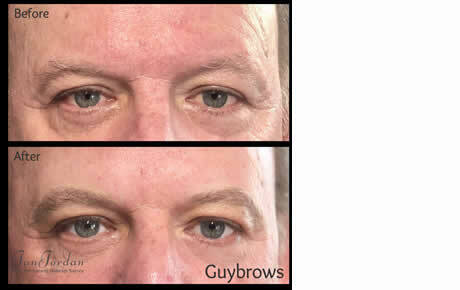 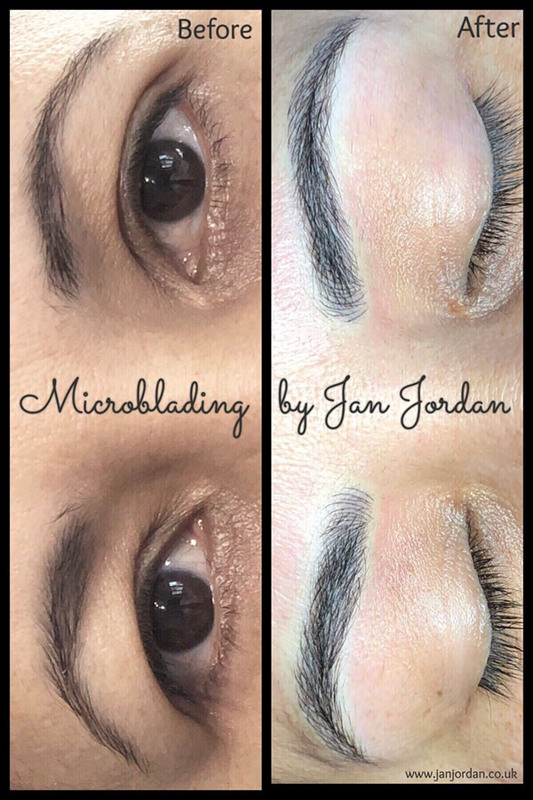 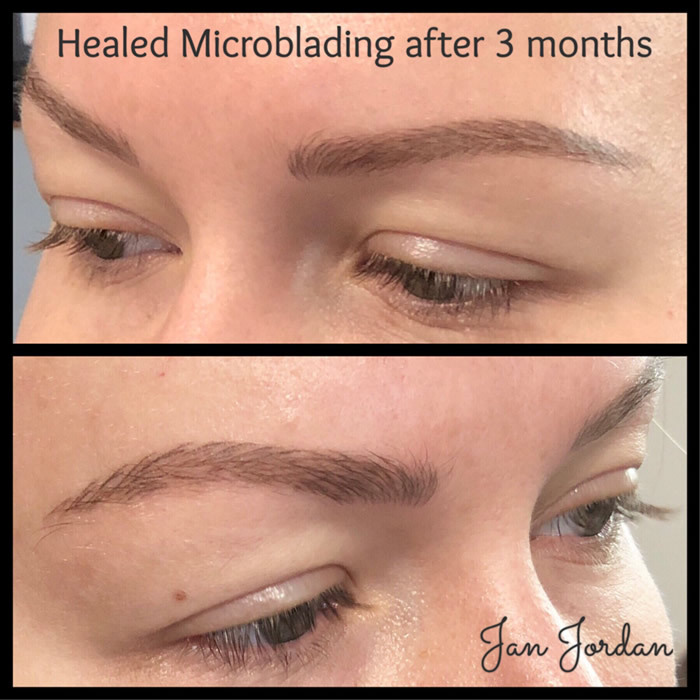 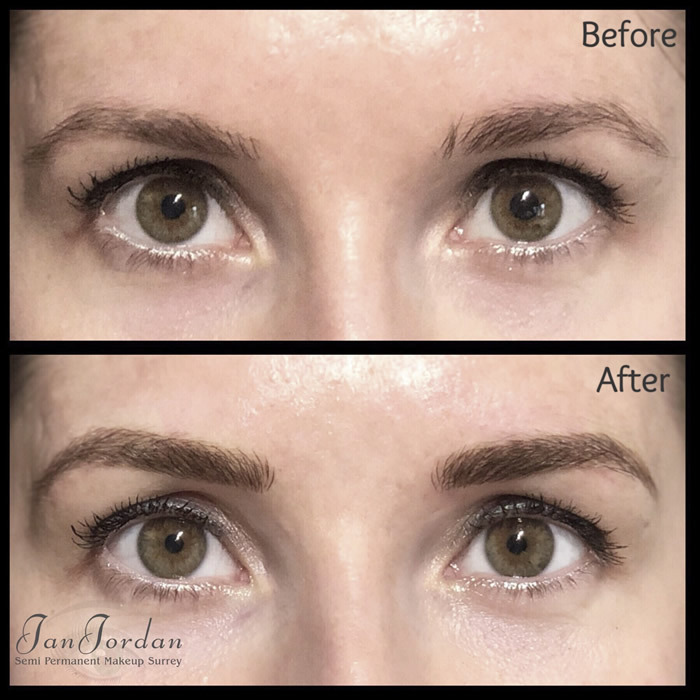 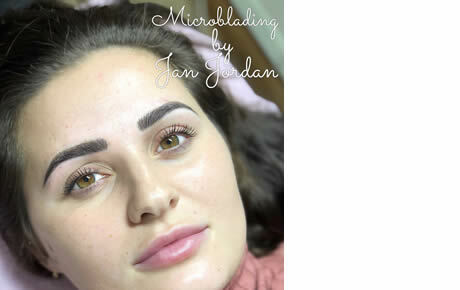 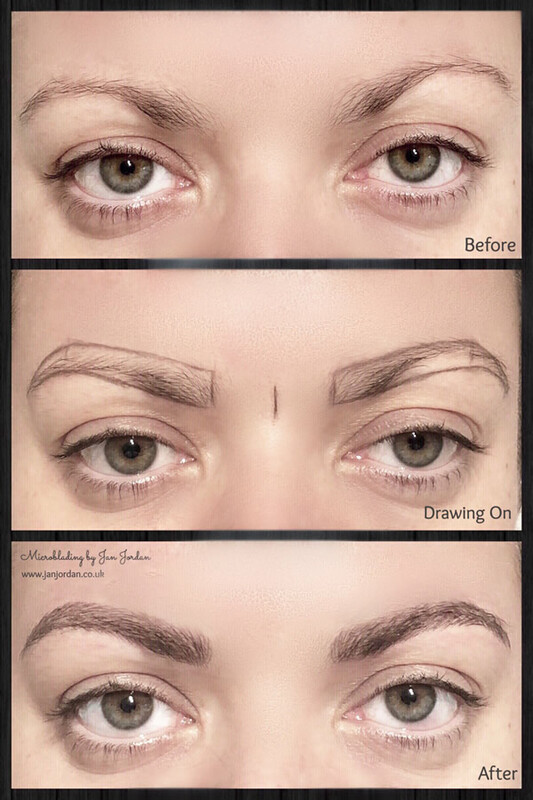 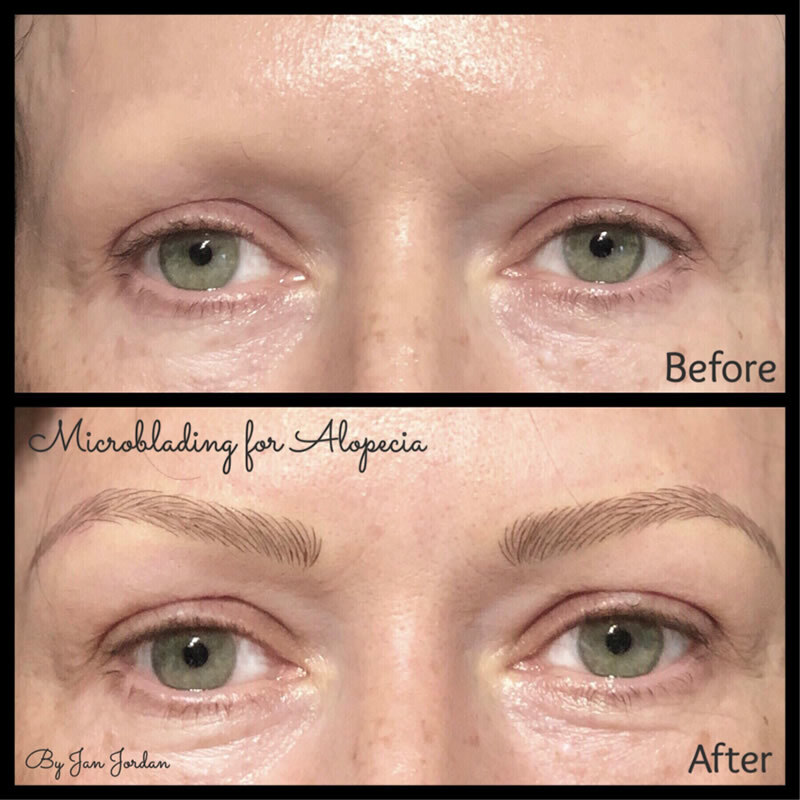 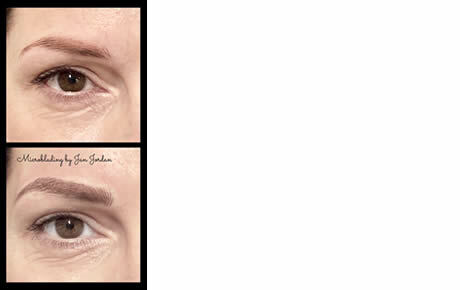 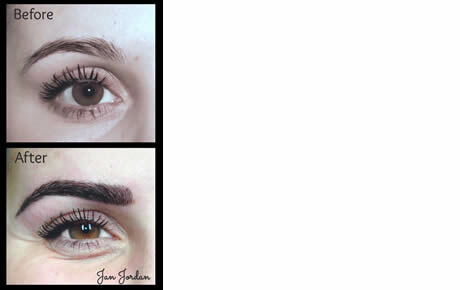 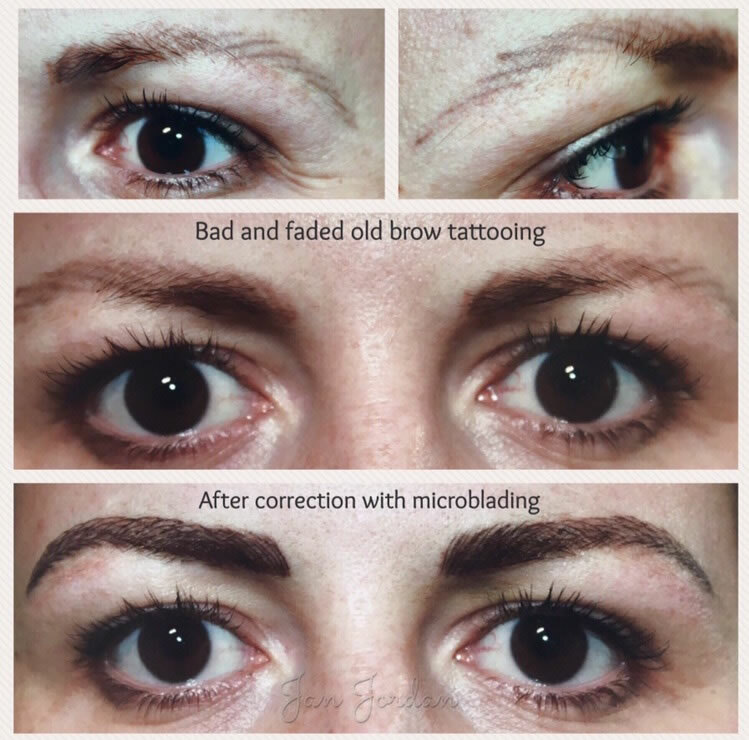 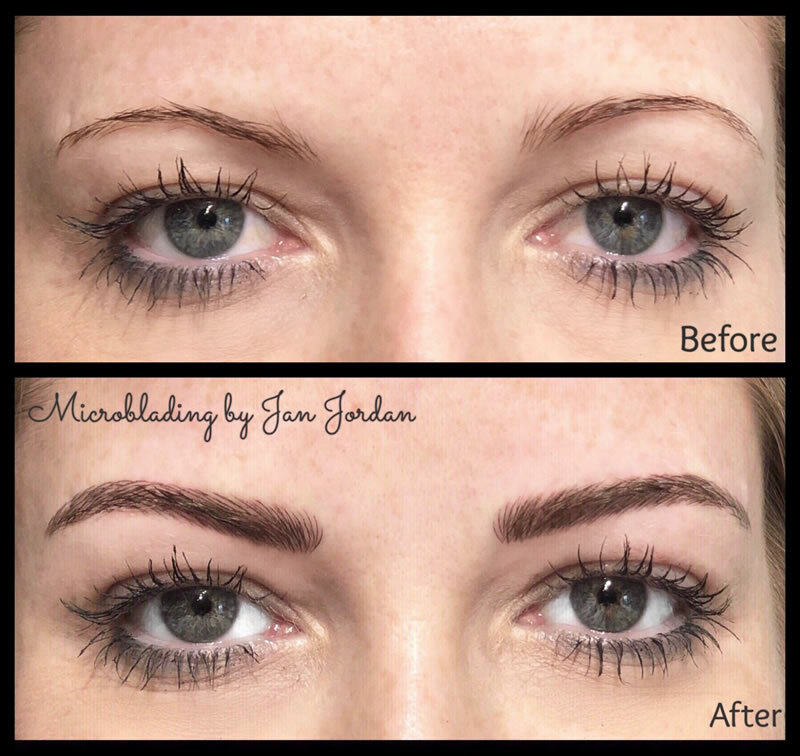 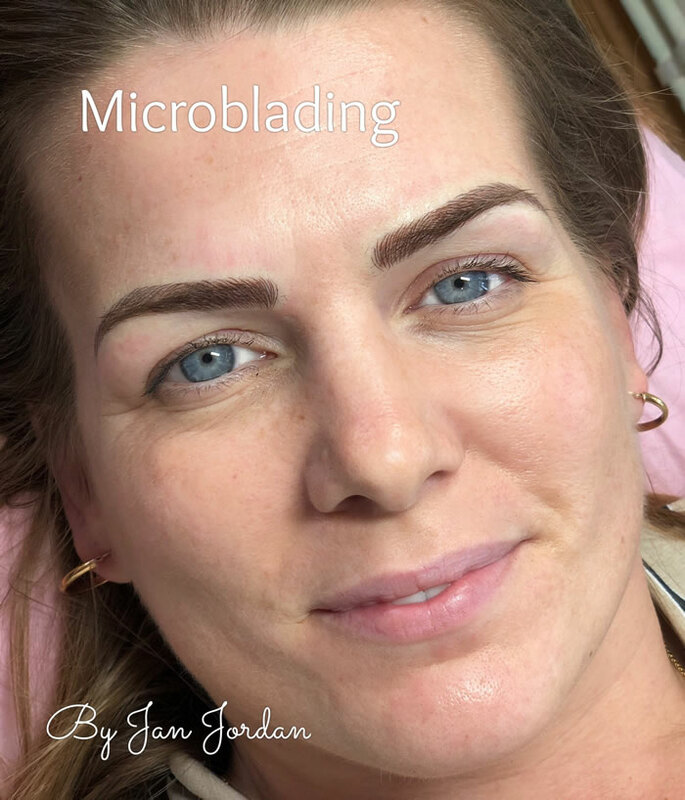 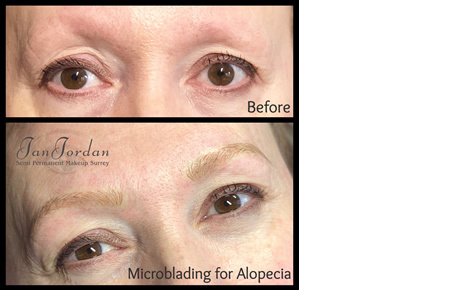 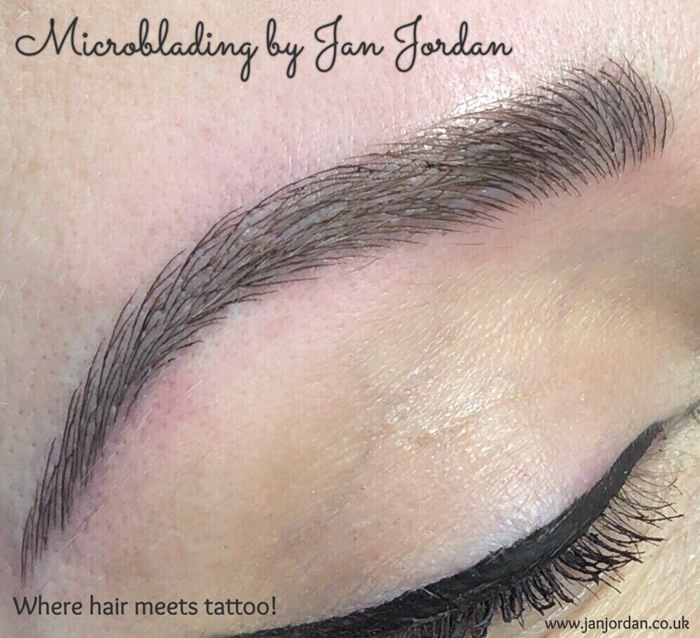 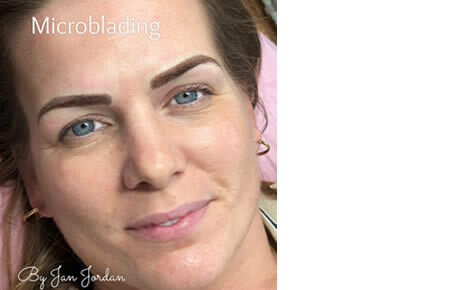 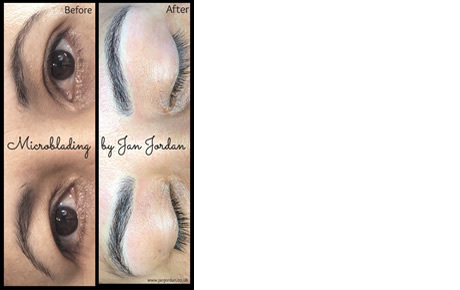 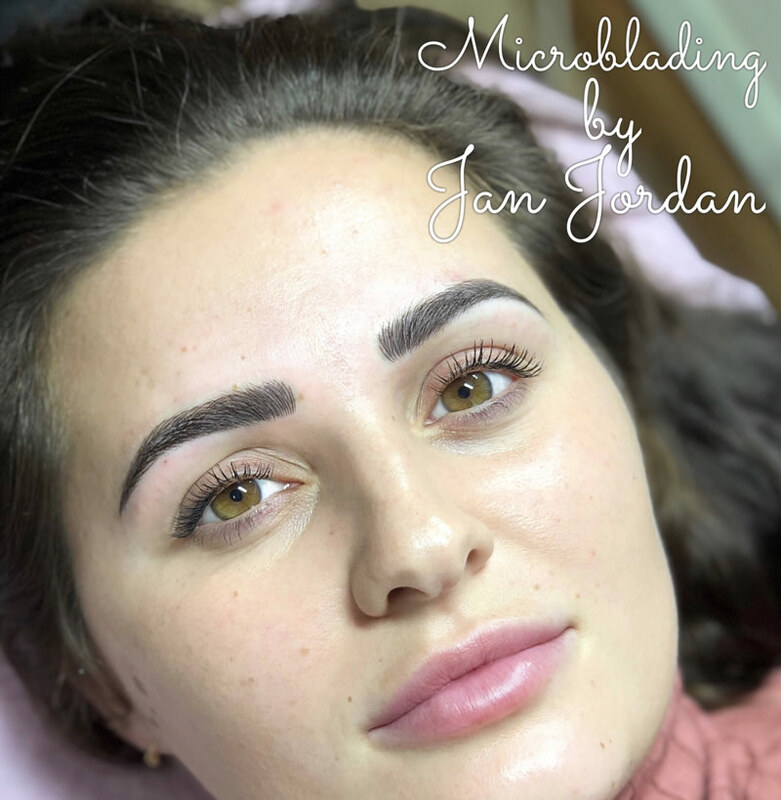 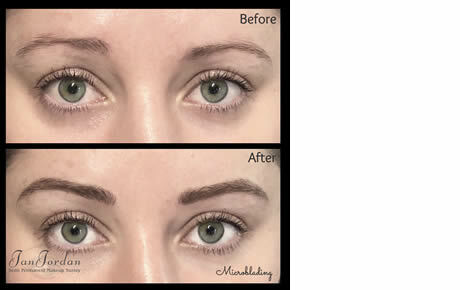 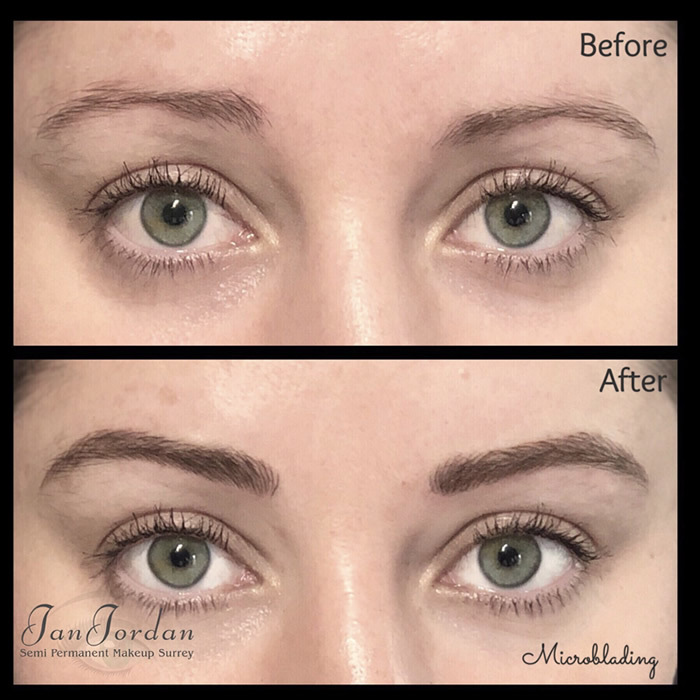 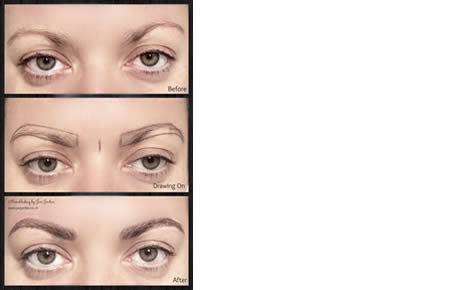 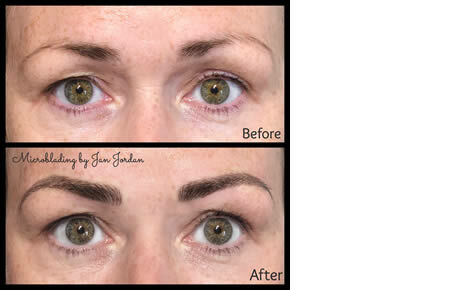 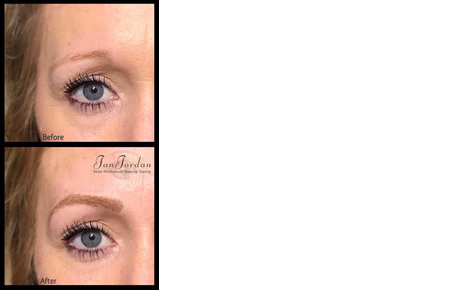 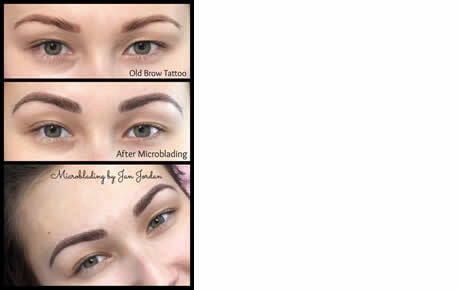 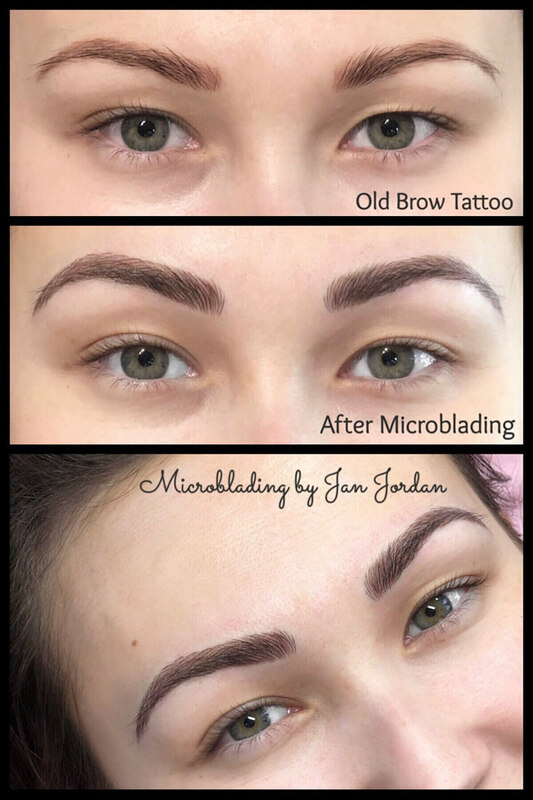 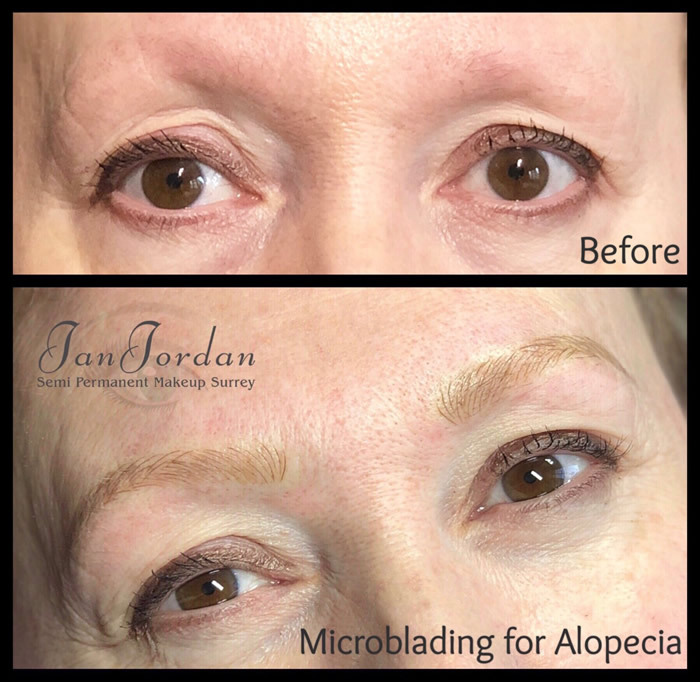 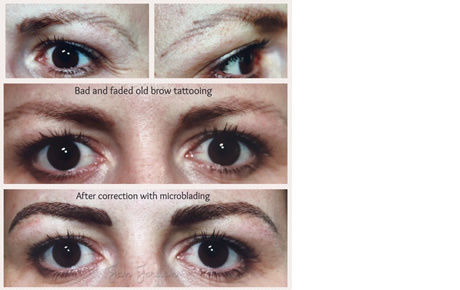 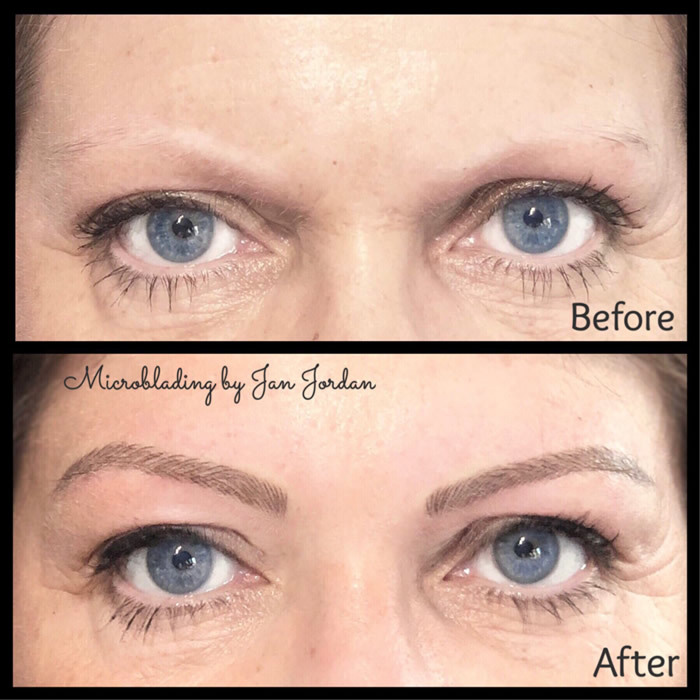 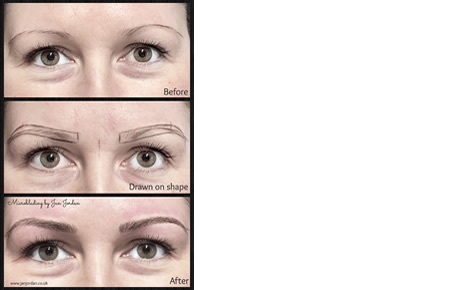 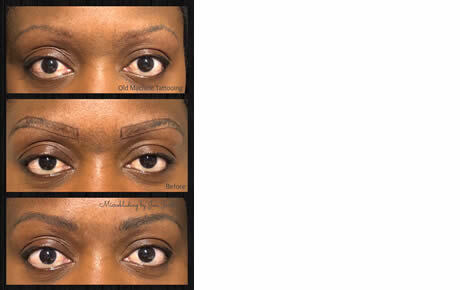 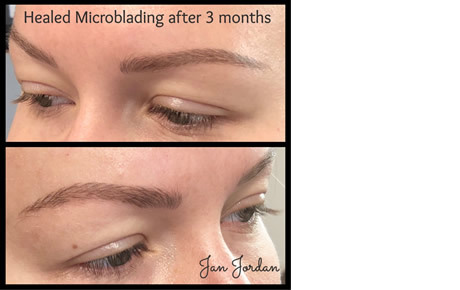 Please do your research when it comes to Microblading! 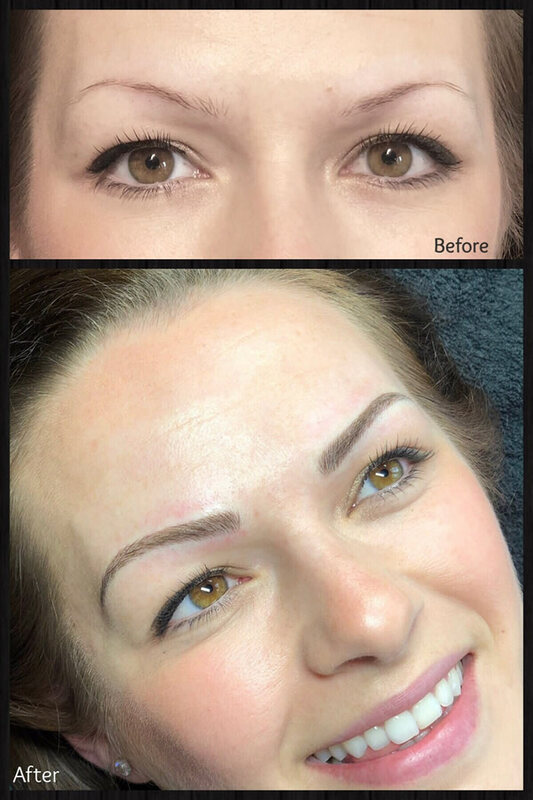 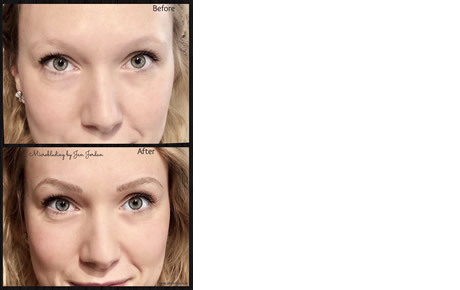 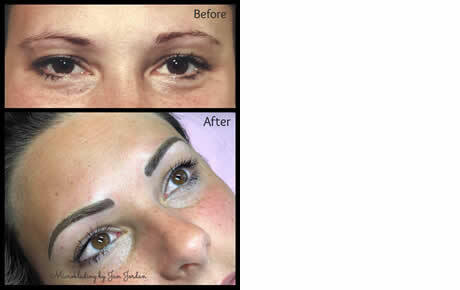 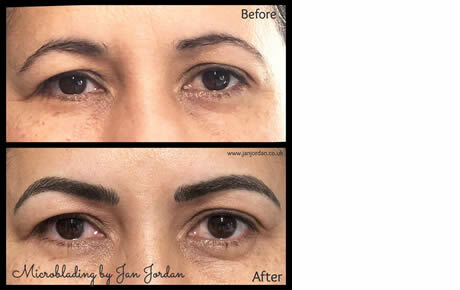 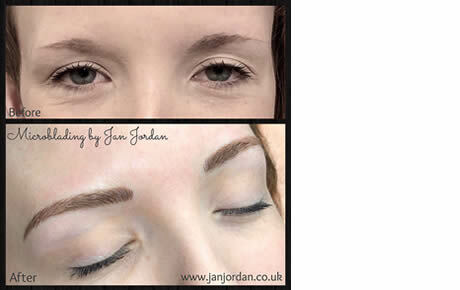 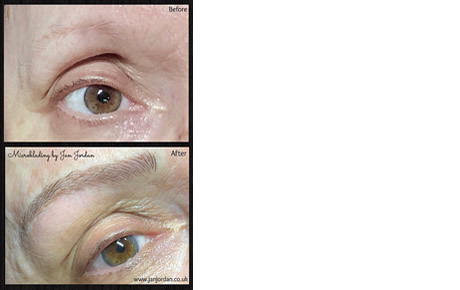 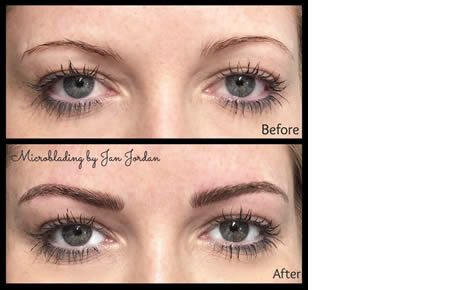 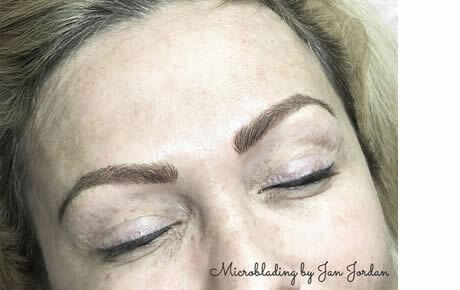 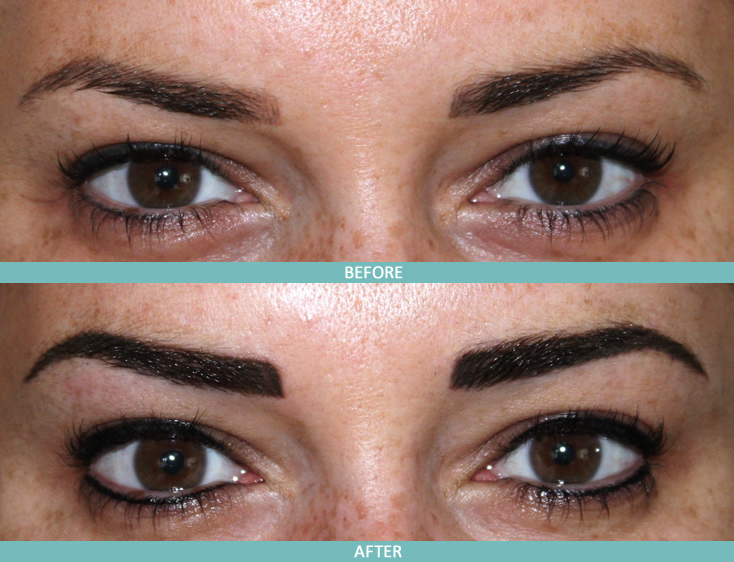 This lady was given uneven and wrongly placed brows when she was on holiday abroad. 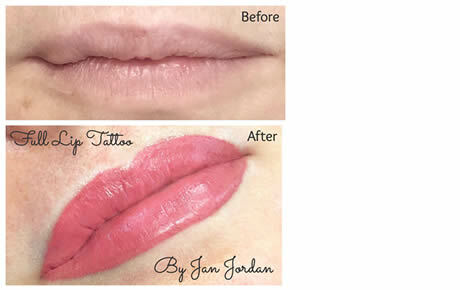 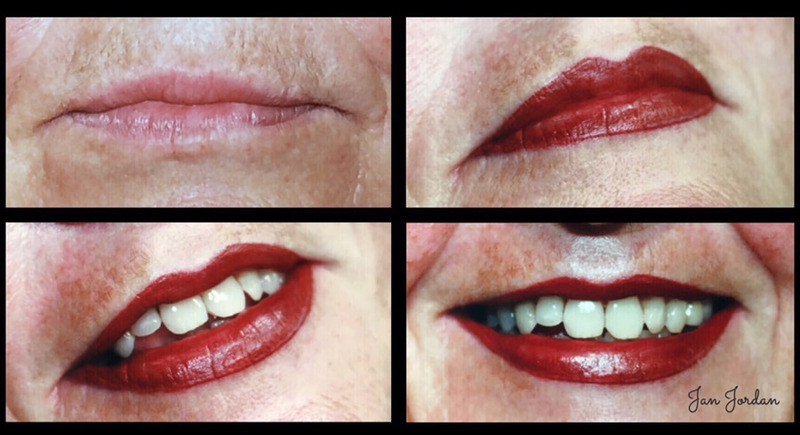 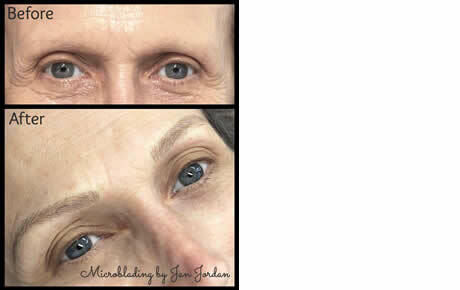 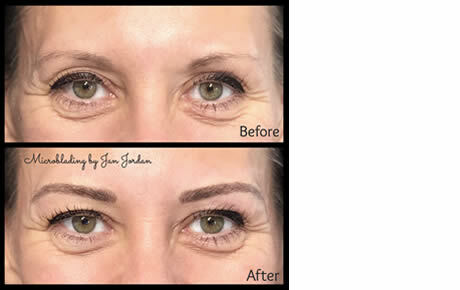 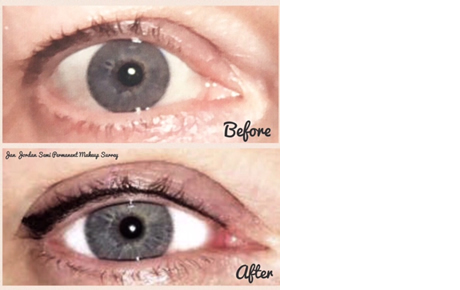 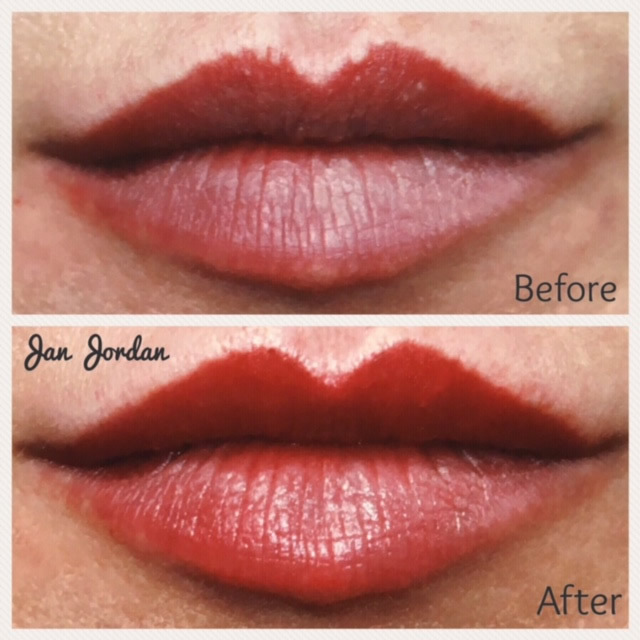 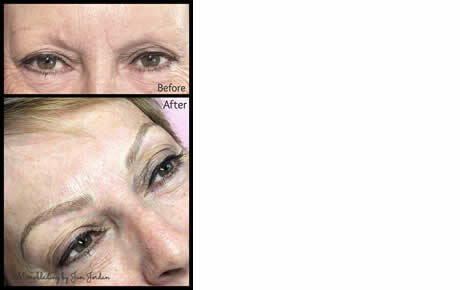 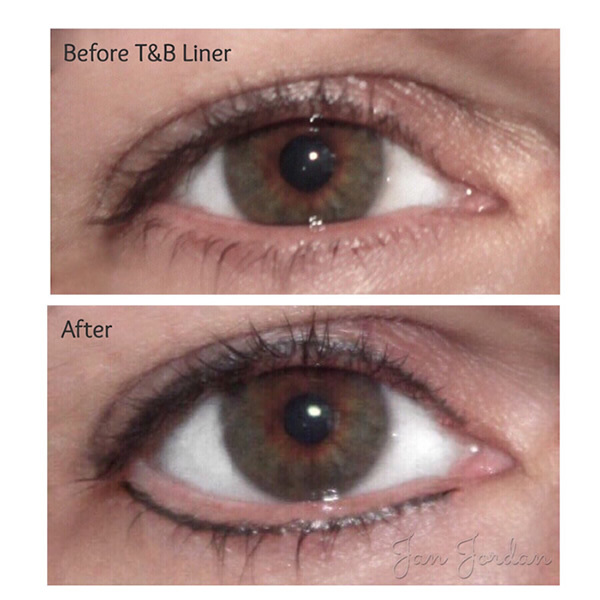 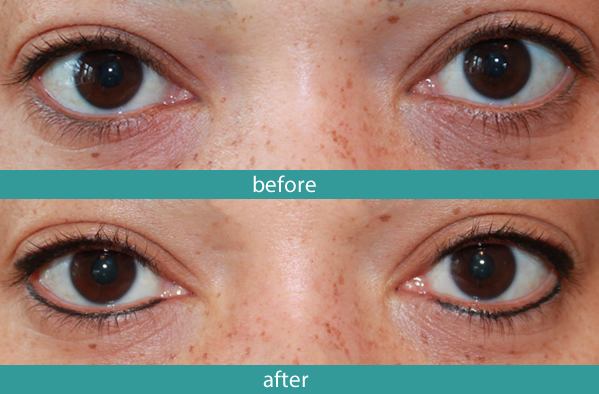 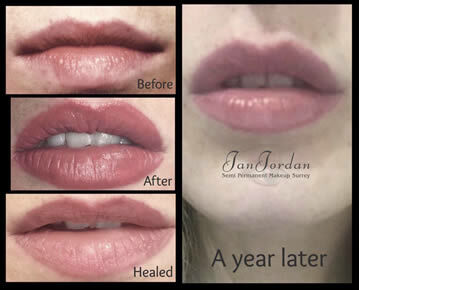 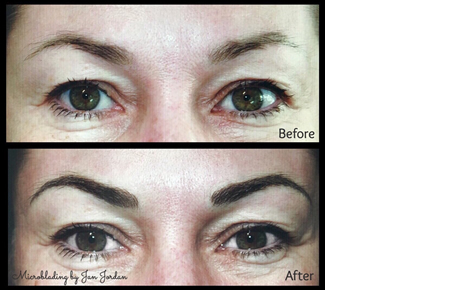 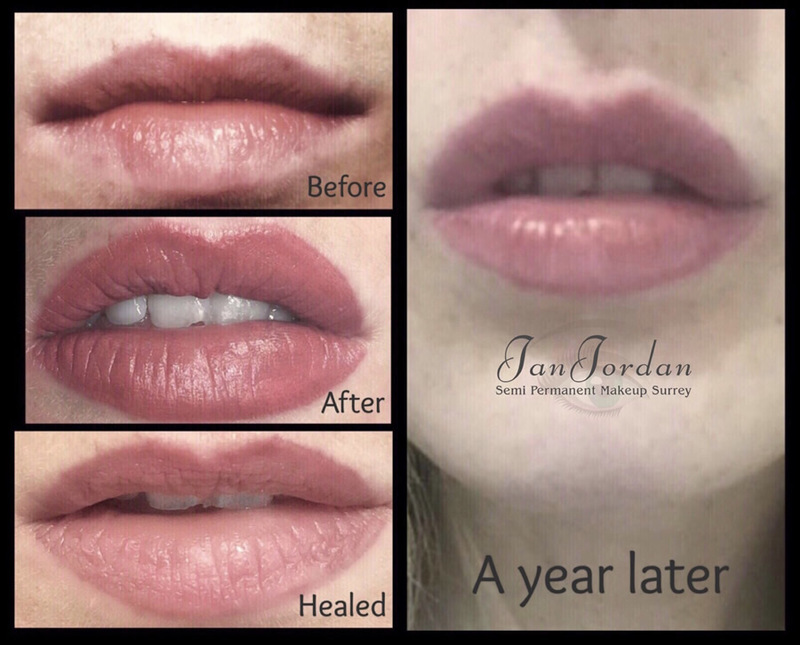 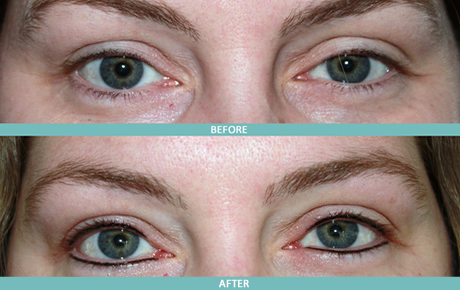 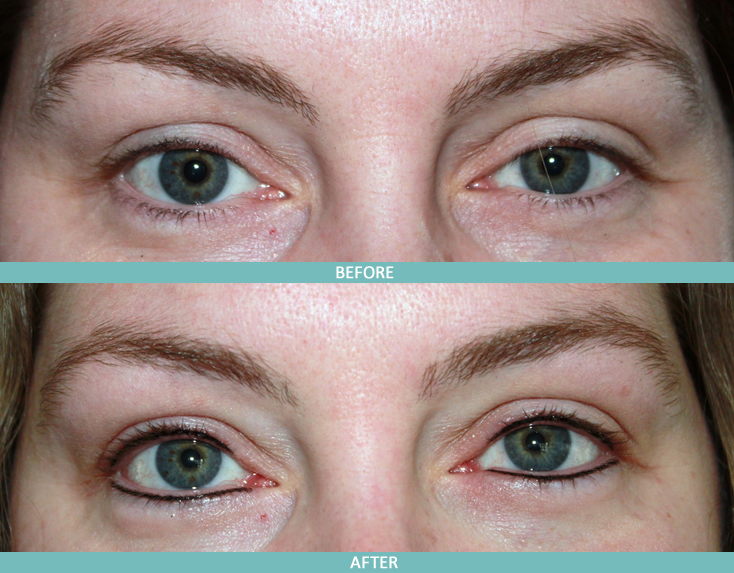 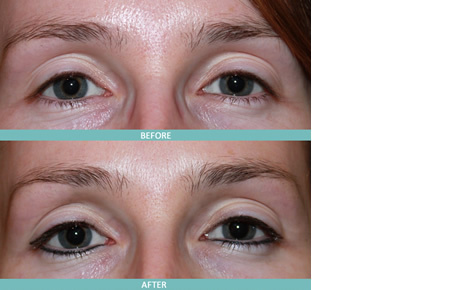 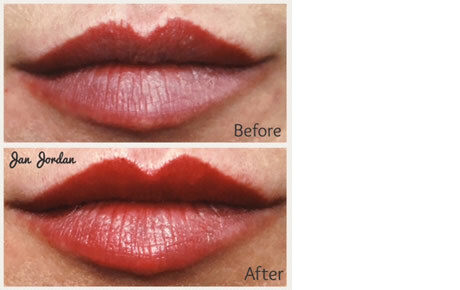 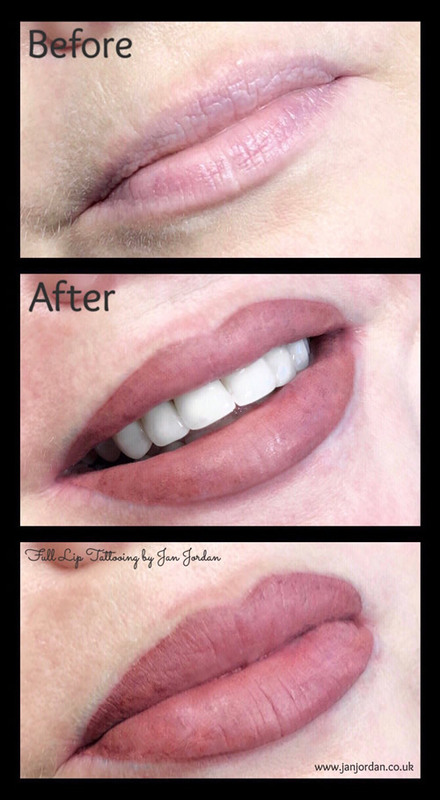 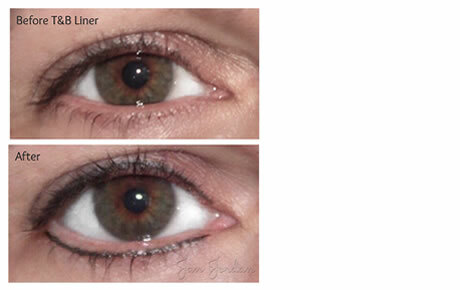 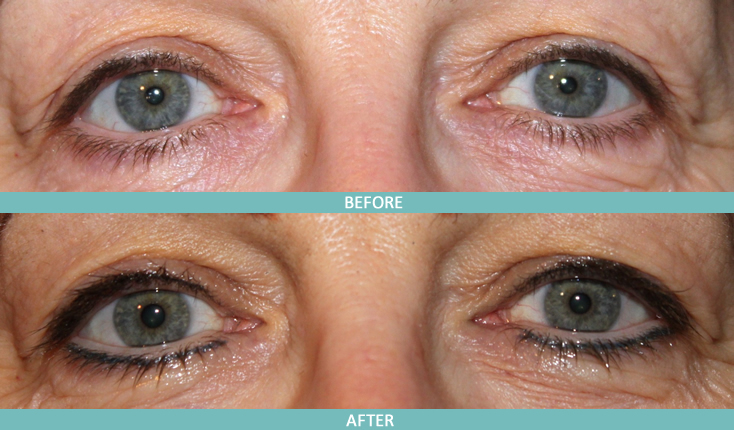 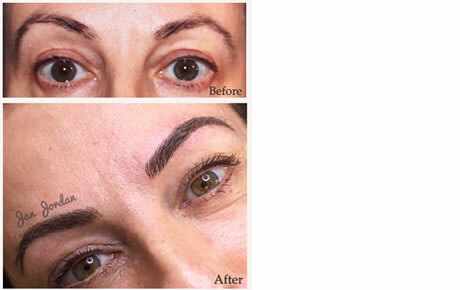 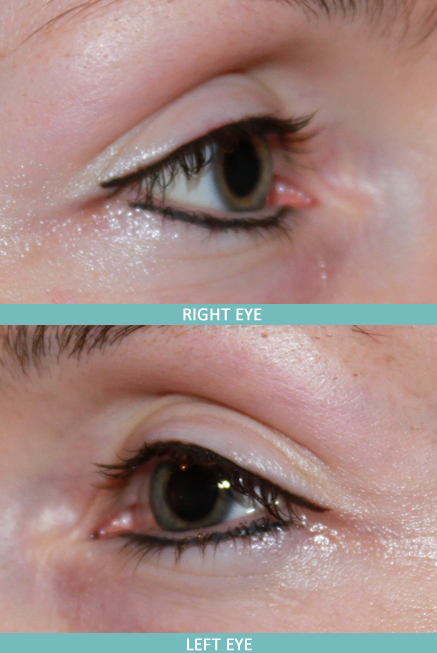 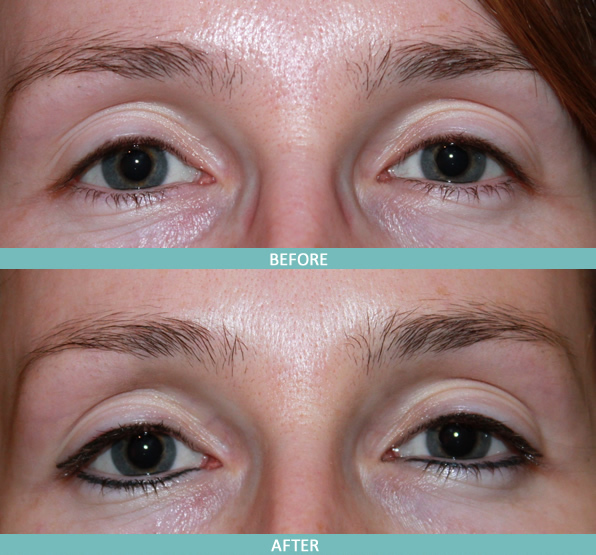 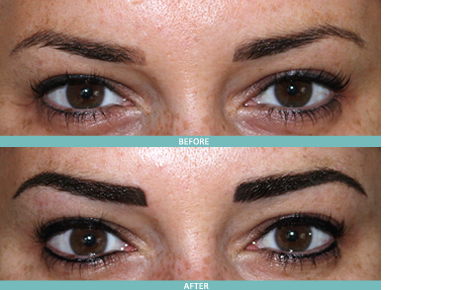 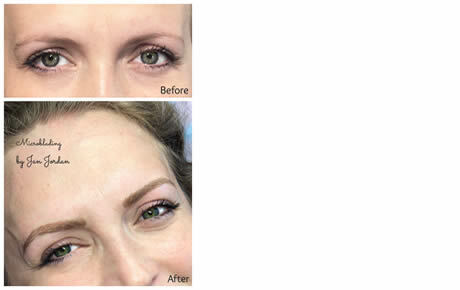 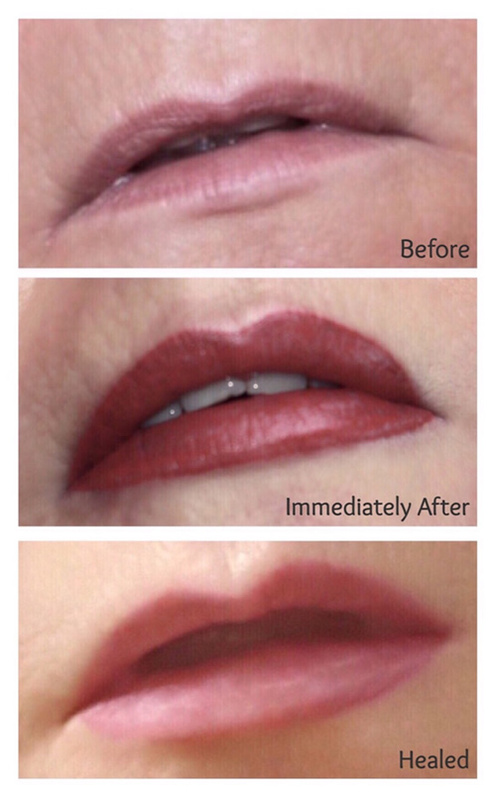 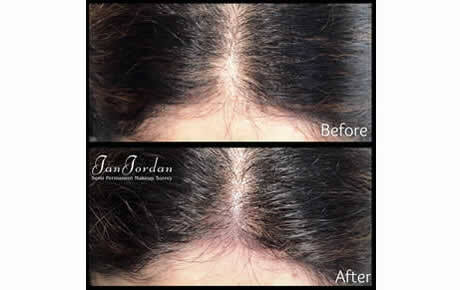 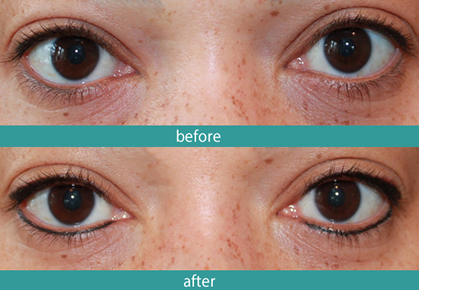 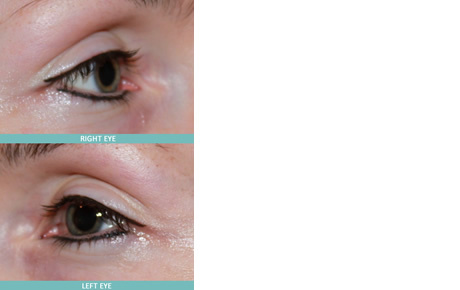 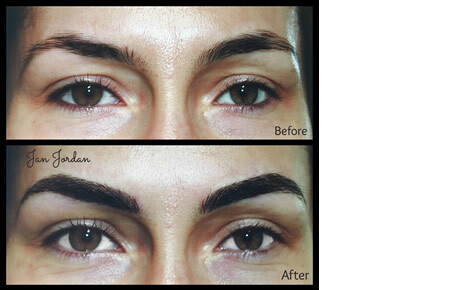 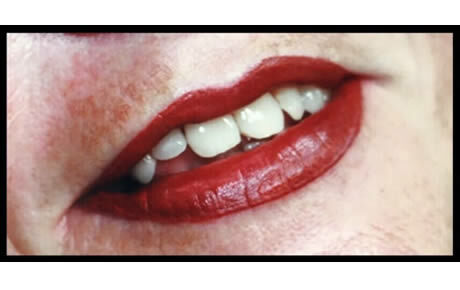 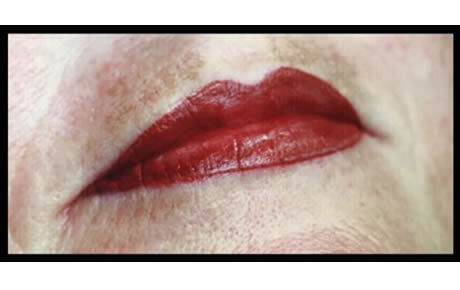 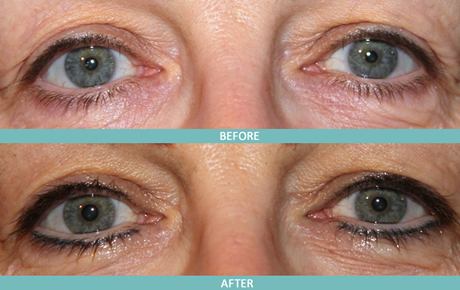 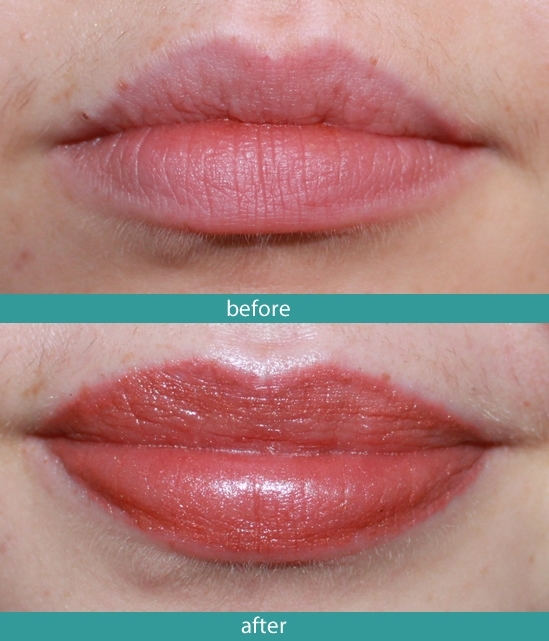 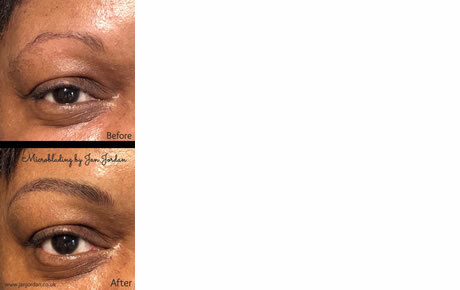 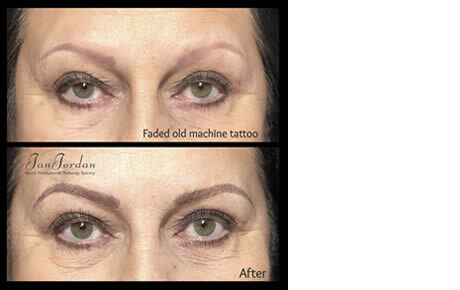 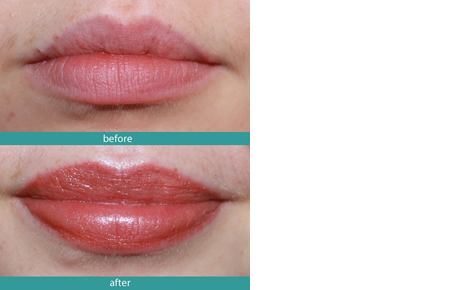 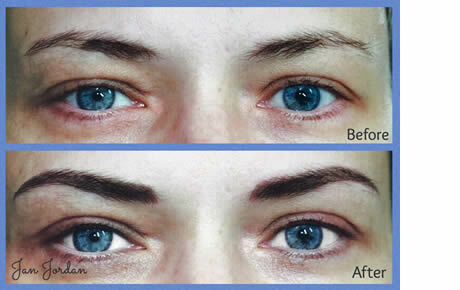 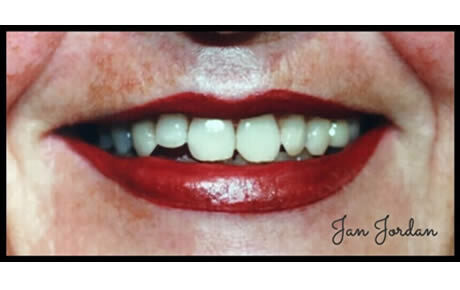 Here she is before and after a correction procedure.